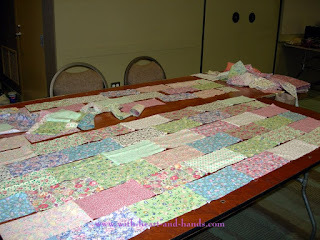 What can you do with 2 yards of assorted scrap fabrics? Cut them up into 3 1/2" strips, continuously piece them together, or cut them into segments (shown above) and lay your strips into 45" rows.Add a border or two and you'll end up with this simple scrap quilt that ends up being a wonderful 68" x 70". 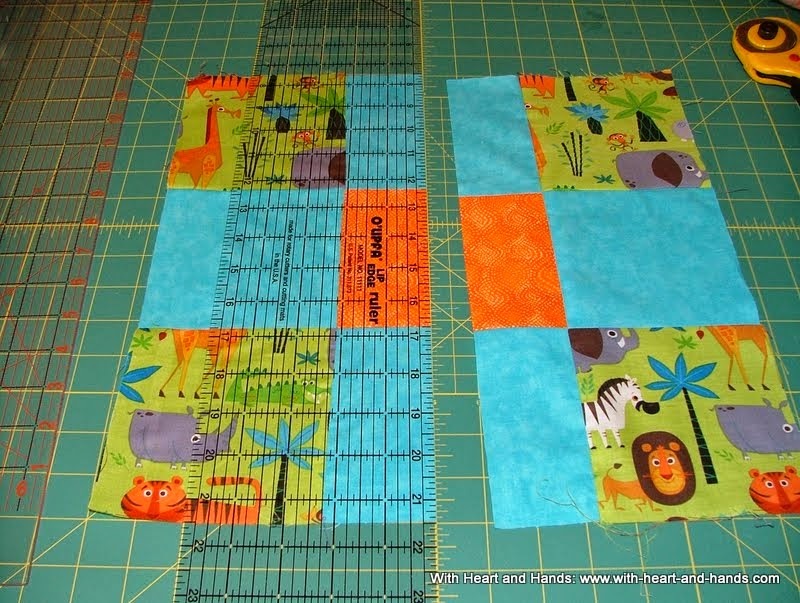 What can you do with simple squares, cut to fit bars and strips...pretty much the same things..only add some simple appliques ..like hearts or stars! Fast and easy! Don't like winging it? Need a quick and easy...and free!...pattern??? 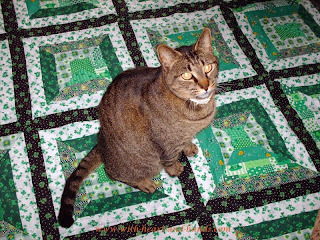 And because my name and my blog comes up in search engines for Free Patterns for Charity or Giving Quilts...please note that any and all of these free quilt patterns and tutorials qualify as I choose to showcase easier to make quilts. It's what I love to do most and how I make and donate as many charitable donations as I do! And I have to be honest with you! 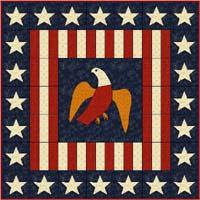 I have collected WAY MORE than 2,500 free quilt patterns. 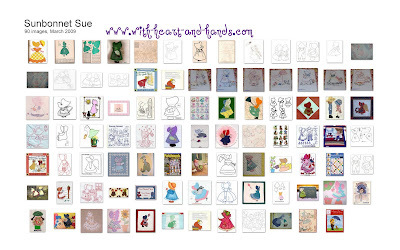 I could only count to 2,500 (well, the program I was using, anyway ;-) It might be 5,000 free patterns by now, because SO MANY of them link to a lot more than the one photo or one link I used! 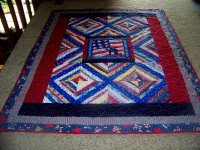 Here are the thematic links that I have done specific posts on and/or made the quilts, myself. Then they are followed by individual listings, then themes, categories etc. as you move through the list. Not always alphabetized as that's a huge ongoing process..but I try my best! 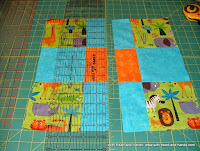 Baby Quilts: Strips and Strings!. 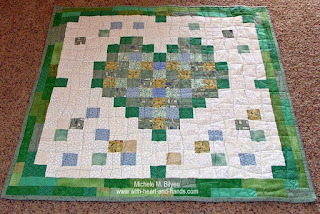 *Bento Box Quilt Pattern Tutorial by Michele Bilyeu of 'With Heart and Hands"
The Luck 'O the Irish to You! Making the Quickest Nine Patches...Ever! And from so many others! 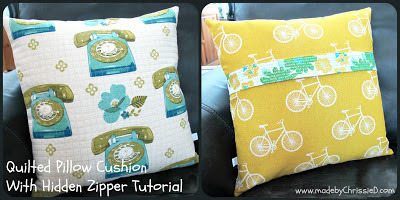 Please say thank you here, or wherever you are gifted with a free tutorial or pattern! Thank you!! My Favorite New Link's at the Golden Thimble! 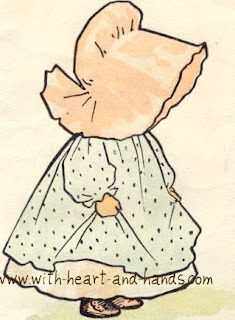 Patchalot More...Free Patterns from our own Marcie! 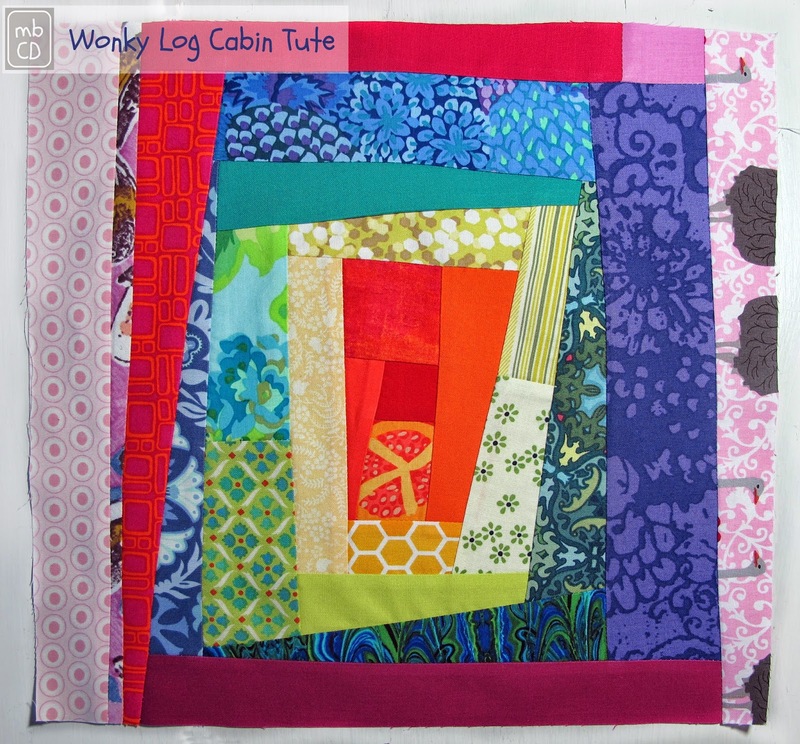 (The) Quilter's Cache - Marcia Hohn's free quilt patterns! 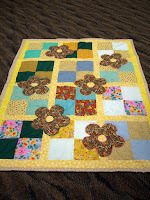 Quiltville's Fabulous Free Pattern Hotlinks! 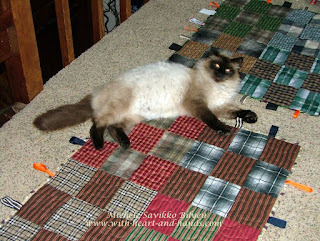 Looking for one of our group blogger's free patterns? 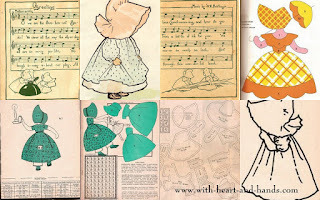 *Patchalot More...Free Patterns from our own Marcie! 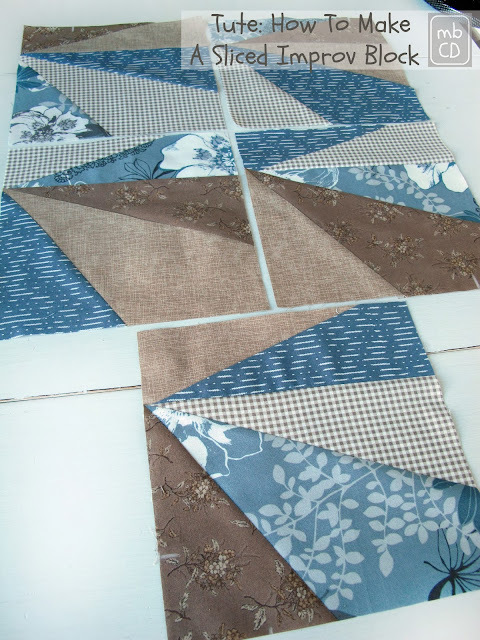 This 10" x 21" wall hanging uses 4 foundation-pieced log cabin blocks. Line drawing only of Christmas angel with horn. Cute everyday angel to applique. Line drawings only of 6 different angels, including 2 Sunbonnet Sue angels. 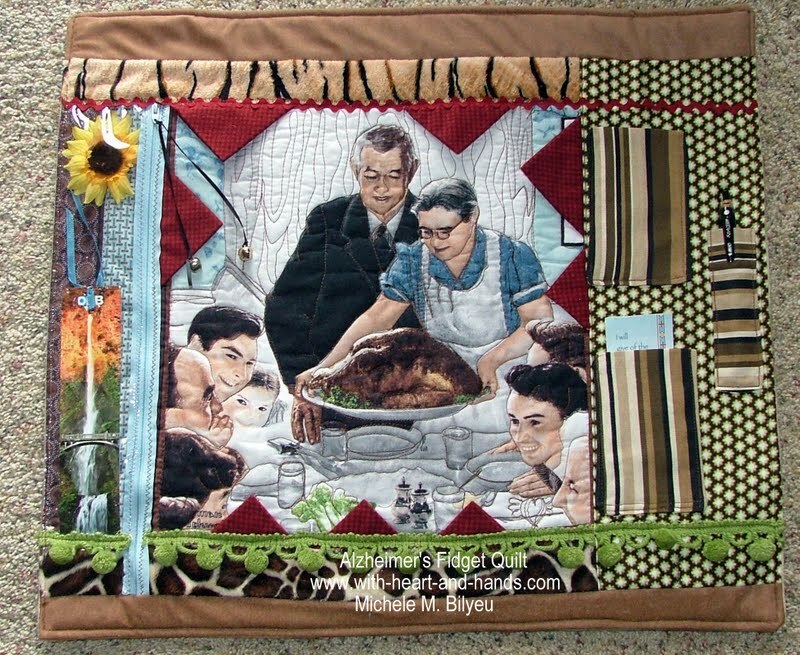 Quilt angel has pins in her mouth, scissors around her neck and a basketful of fabric. 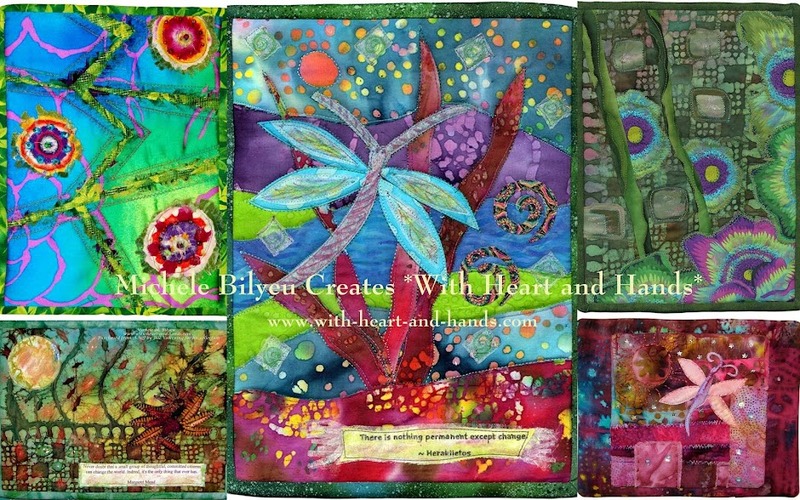 ***Bento Box Quilt Pattern Tutorial by Michele Bilyeu of 'With Heart and Hands"...that's me! 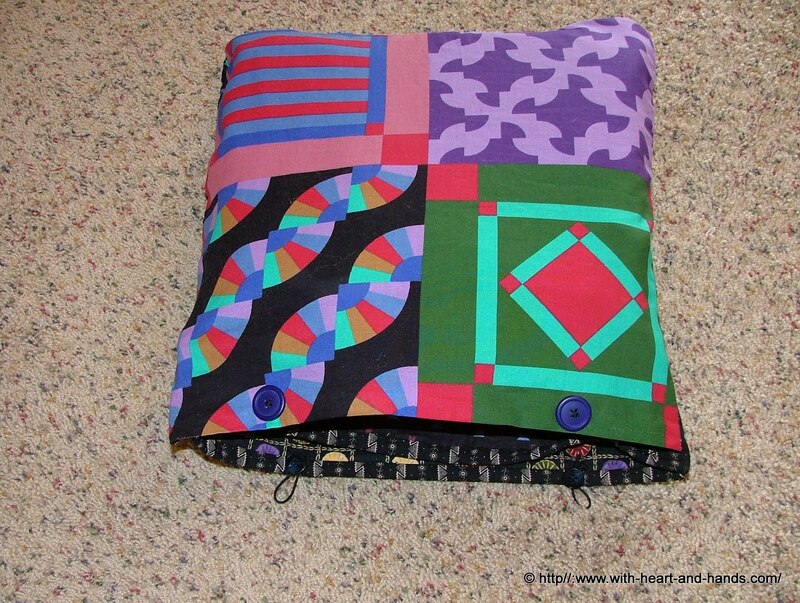 a quilt with a self pocket that turns it into a pillow! The wonderful " Disappearing Nine Patch"seems to a technique in continual process of new and more involved variations. 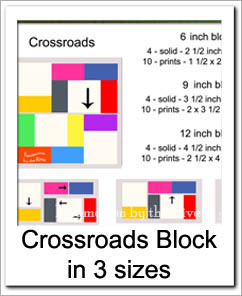 Simply put, a nine patch block is created and then sliced apart in a myriad of different cuts or with different color arrangements so it literally disappears and is replaced by four smaller units. Apparently, Karin Hallaby, wrote a book in 2002 called "Magic Pillows, Hidden Quilts, which included a Magic Nine Patch quilt made using the same technique that's so popular today. 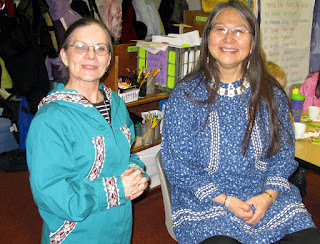 Nancy Brenan Daniel also wrote a book called Disappearing Nine Patch in 2002 but apparently it is quite different from what we are calling that style today. Eventually, an online blog by Helen Bailey, featured a tutorial about her own use of the disappearing nine patch but she referred to it by a different name. 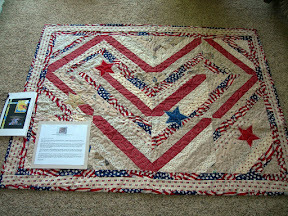 The same technique has been called Tossed Nine Patch (by Eleanor Burns) and (possibly) 9 to 4 by other quilters and authors. And now of course, we have disappearing 4 patches, 9 patches, and on and on with so many fun and varied improvisations. 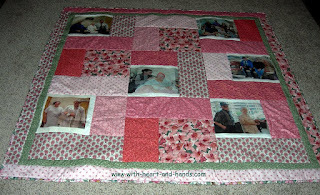 But just to have a look, check out some of the images and links that I have discovered and create new and easy blocks and quilts of your own! 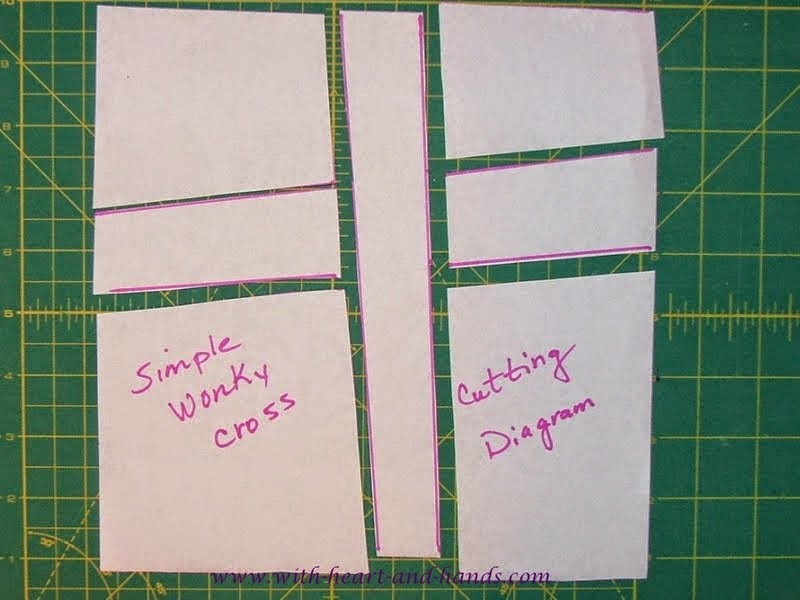 Let's start with some fun and simple 4 Packs as I share links to some tutorials and some different variations from what you might hink of as a D4P..or Disapearing 4 Patch, as well! This version..below.... is great with Charm Packs! 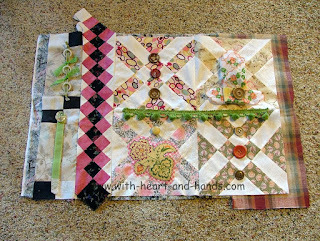 Disappearing 4-Patch from Chock a Block Quilt Blocks..direct link to her blog for the tutorial! D9P and D4P and Variations! 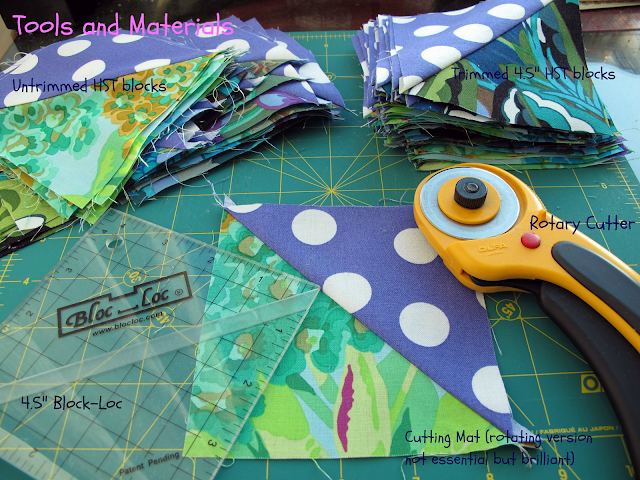 Whack 'n Stack Quilt Tutorial: how to make a kaleidescope quilt from large florals etc. Need super simple ideas for baby quilts, or tiny wraps for preemies..or just an idea you can wing without even using a pattern? 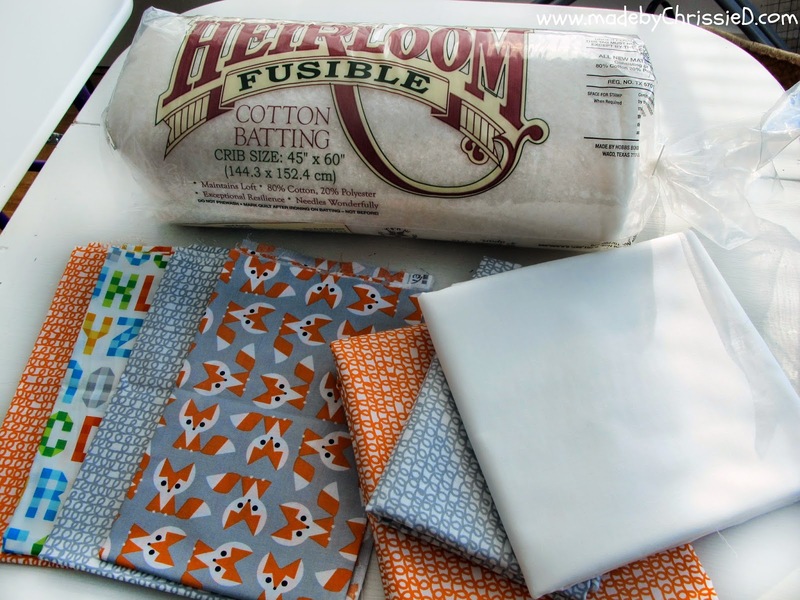 I have lots of ideas, links, patterns! 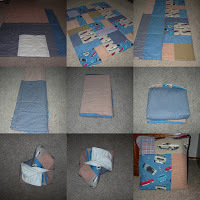 Need a Free Baby Quilt Pattern??? This is a great place to find a variety of choices!! 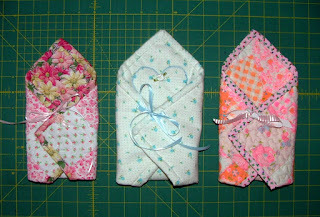 courtesy of Lotta Jansdotter’s Simple Sewing for Baby and Craftzine. Spider Web tute from Sew, Mama, Sew! **Sunbonnet Sue: Free Quilt Patterns.....look for images and big list below!! From Quilter's Newsletter! A wonderful variety of thematic designs! 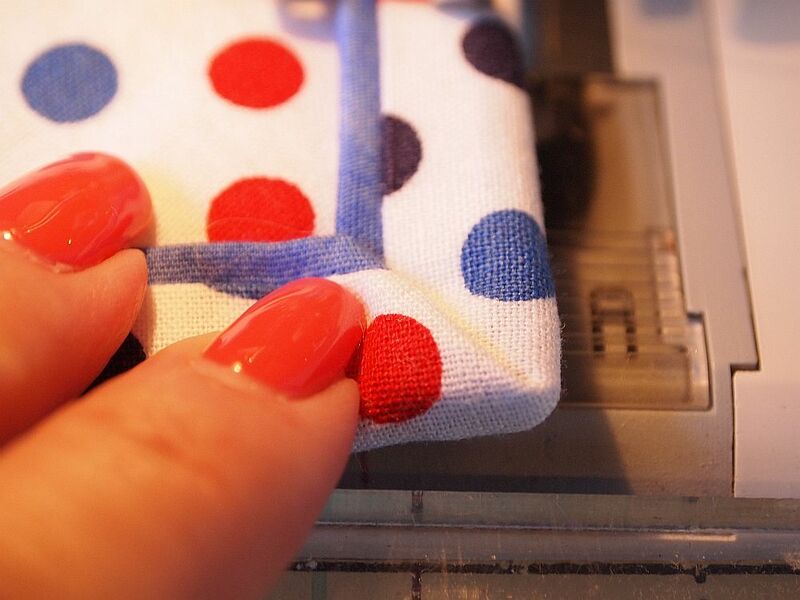 Please note: When downloading and printing a PDF that has size-specific material such as templates, applique patterns, and quilting motifs, you must turn the scaling to "off" to prevent your system from defaulting to settings that may shrink the page and distort sizes. 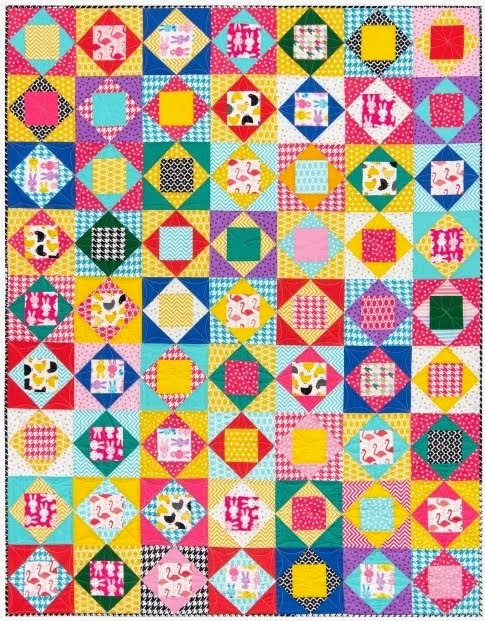 Click to download this adorable free quilt pattern! ( paper-pieced vegetables ) to download and print the free quilt pattern. 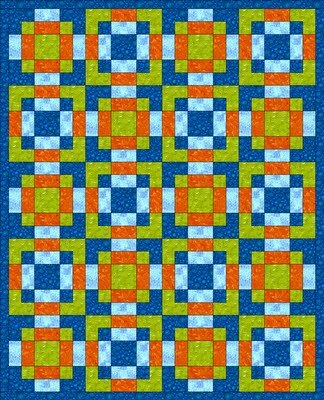 Download this free quilt pattern offered in conjunction with Quilters Newsletter August/September 2012. 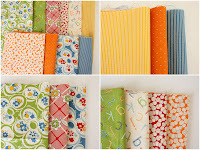 Sorbet was designed and made by Patricia Bravo of Art Gallery Fabrics, Hollywood, California. 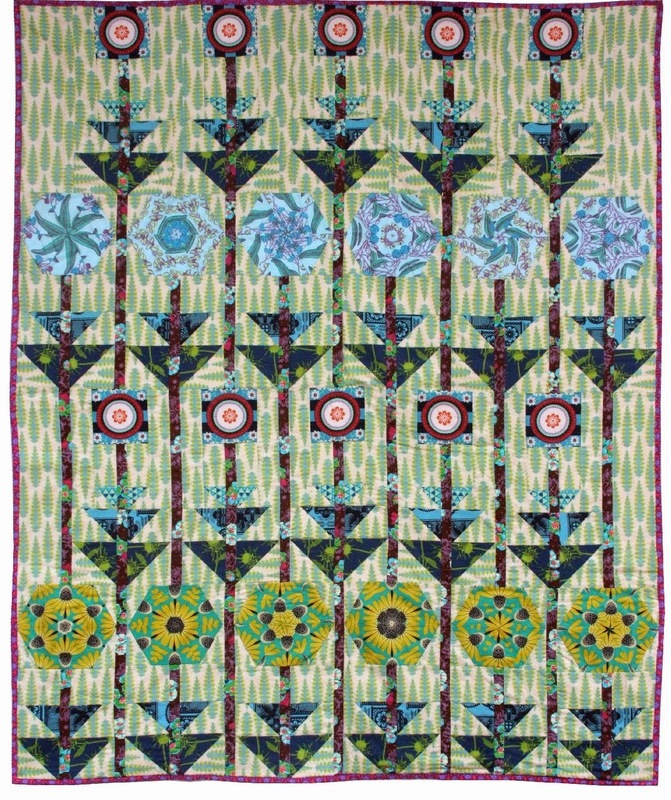 Download and print the free quilt pattern for the quilt featured in "Zen and the Art of Binding"--Jen Daly's Apple Blossoms featured on page 36 of Quilters Newsletter June/July 2011. 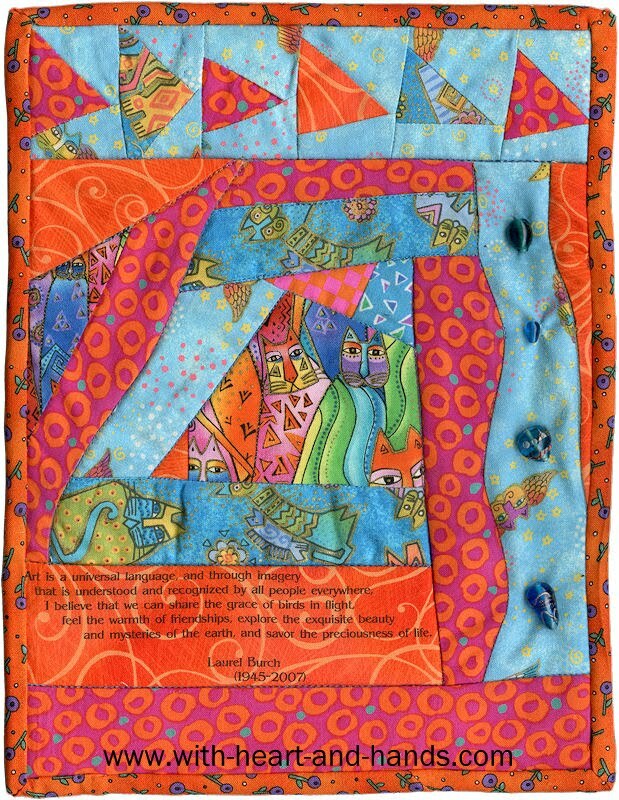 Try this four-block wall hanging designed by former QN editor Patricia Heath. 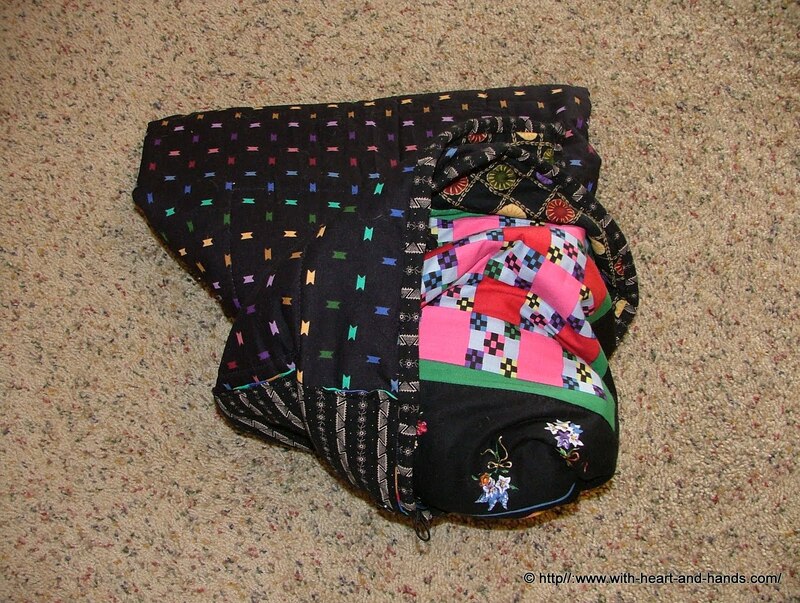 Download and print the complete free quilt pattern. 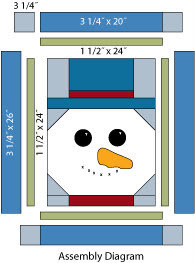 Let it Snow, a free Christmas quilt pattern, designed by Carol Newby and Angie Hodapp. 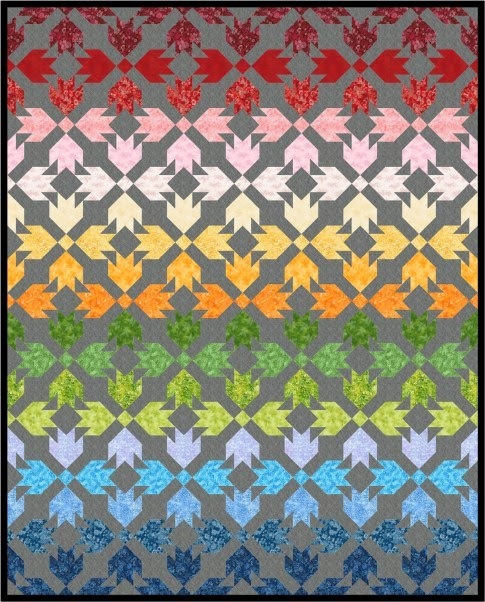 This free fall quilt pattern . 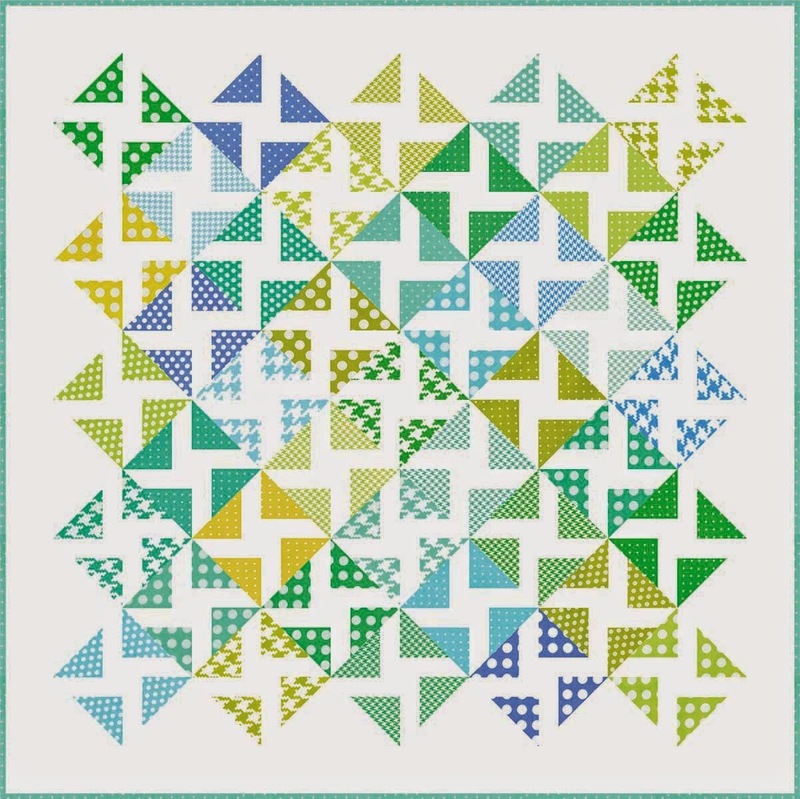 Download the free fall quilt pattern here! Get this free Halloween quilt pattern today! Click here to download and print this free Halloween quilt pattern and get started today! 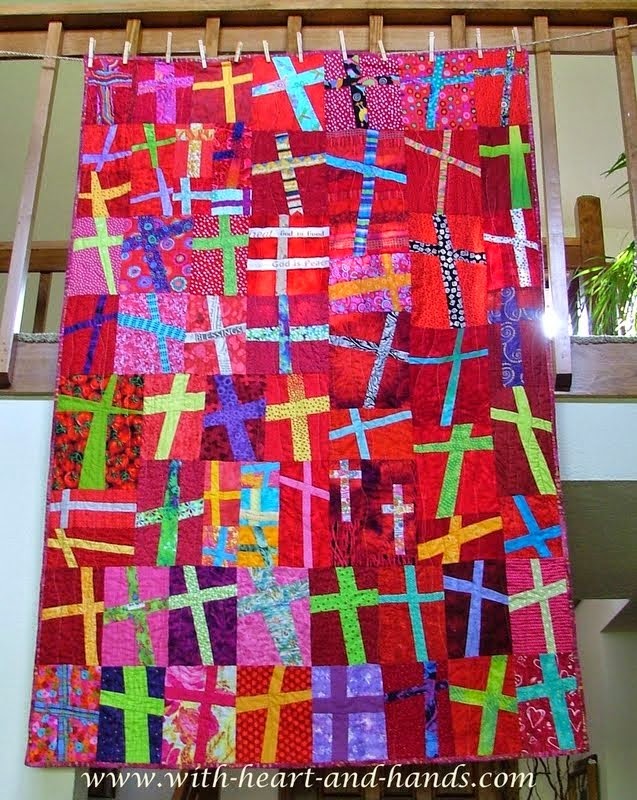 Christmas wall hanging. 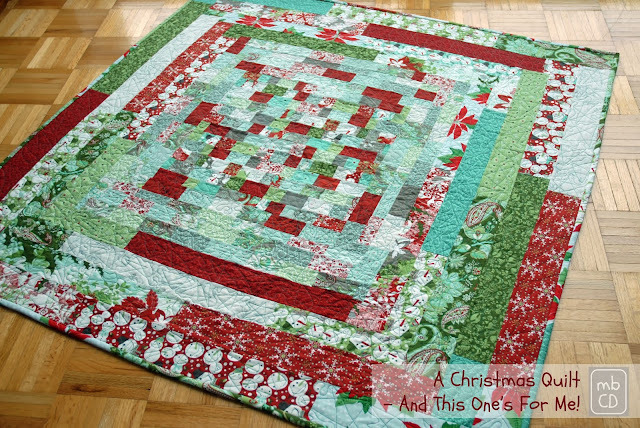 Click for this beautiful free Christmas quilt pattern.
. 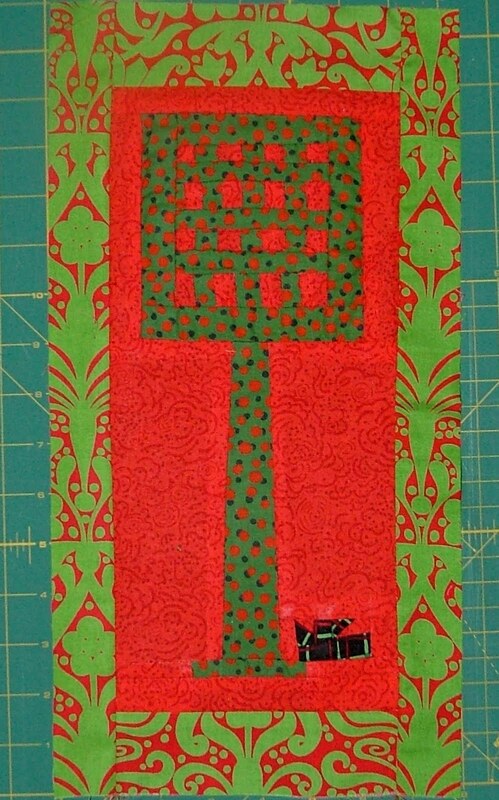 This free Christmas quilt pattern for a whimsical fusible applique quilt was designed by editor Joli Hines Sayasane. 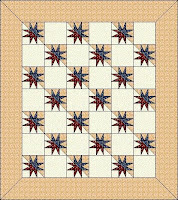 Download and print Picture-Perfect Poinsettias, a free QN web-exclusive quilt pattern. 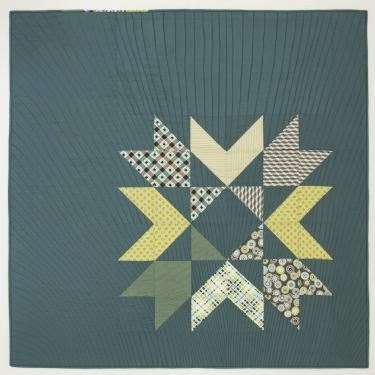 Simple shapes make stars shine in this wall quilt. 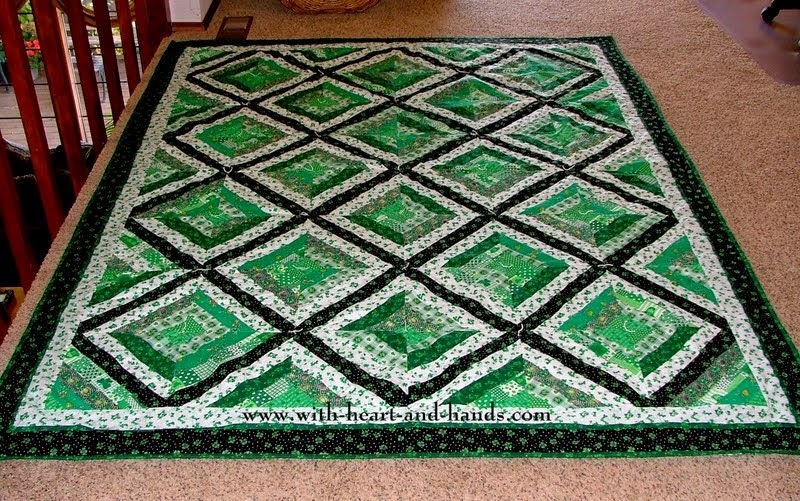 This is a fast, easy-to-piece free quilt pattern. Click to download the free quilt pattern. 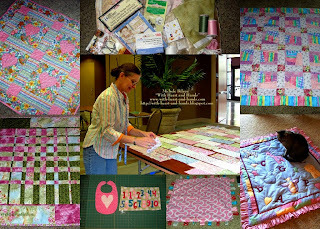 Learn how to make Anita's Unbiased Block in the Easy Lesson of the Apr/May 2012 issue of QN, then download and print the free quilt pattern to make your own Candy Striper quilt! 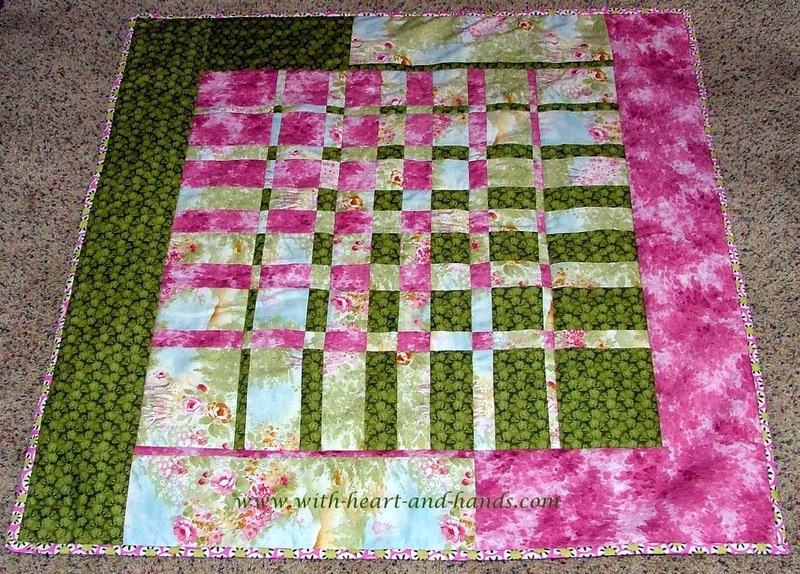 Celebrate spring with this free pastel quilt pattern designed by Angie Hodapp. 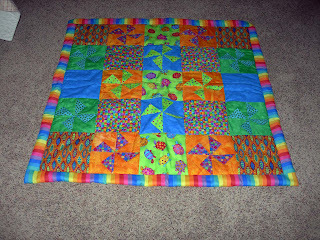 Click here to download this colorful free quilt pattern! 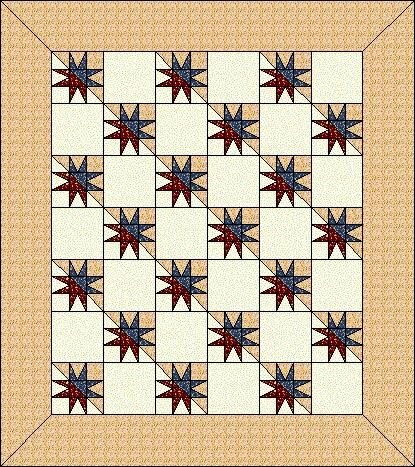 We're going back in time with a strippy pink-and-brown free quilt pattern, colors reminiscent of the mid 1800s. Welcome spring as you make these easy-to-piece Birds in the Air blocks. Simply click to download this free quilt pattern! 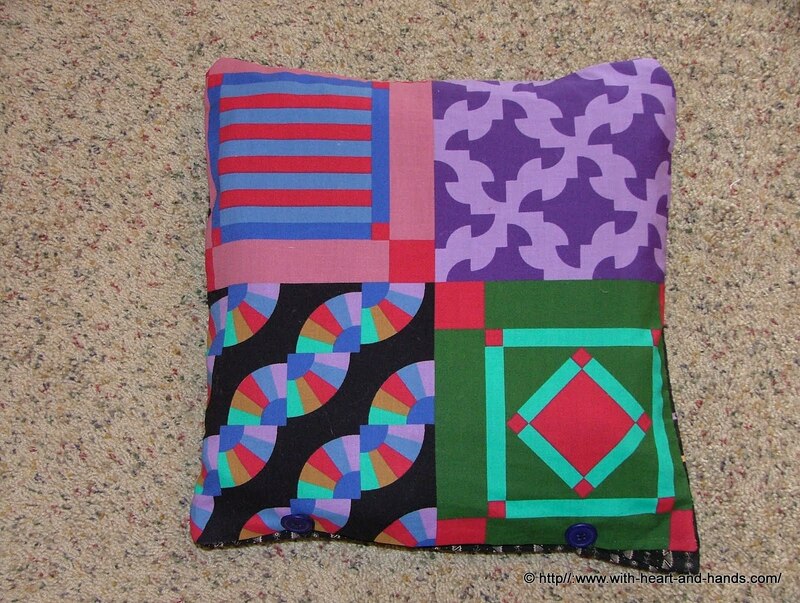 Click to print this free quilt pattern. 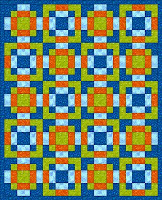 Open and download the free quilt pattern. 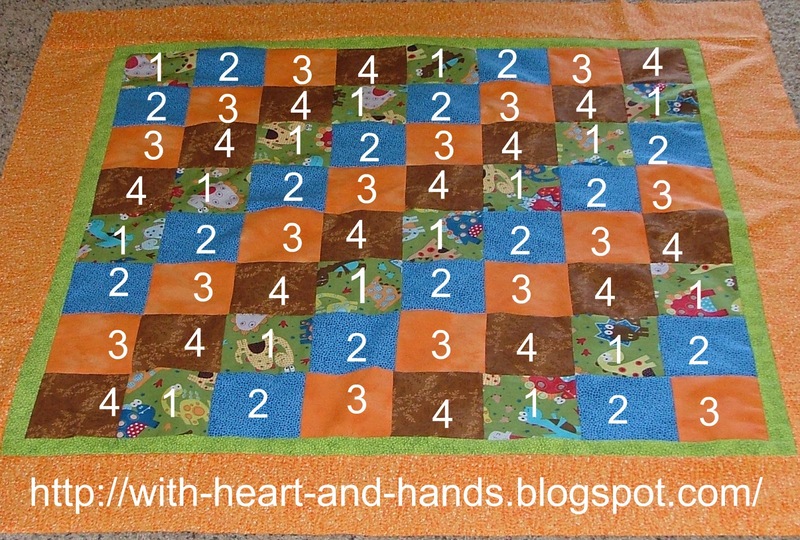 The Hopscotch quilt is easy to make, and even beginning quilters will assemble it with easy. Use this easy quilt pattern the next time you need a small quilt. 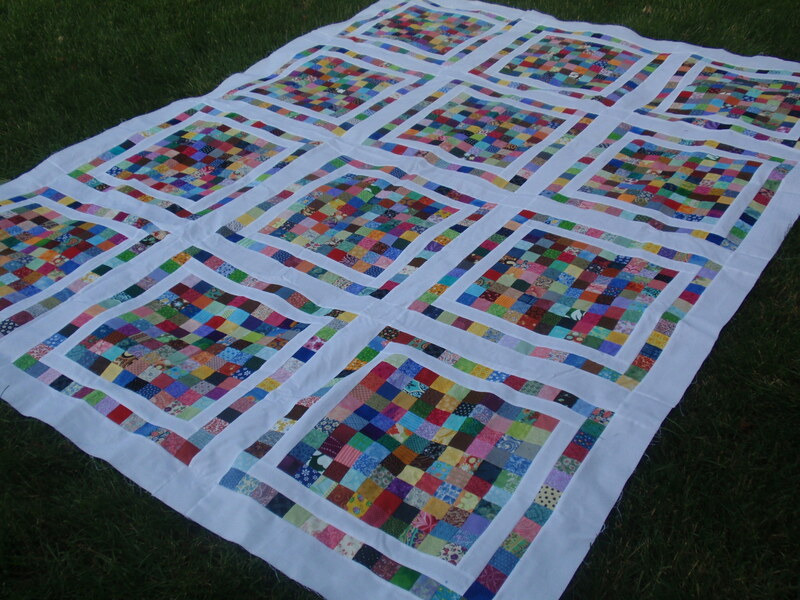 Use the Rail Fence baby quilt pattern to sew a patchwork quilt that's filled with color. 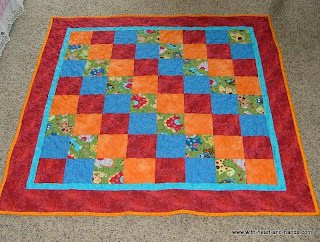 This easy baby quilt is suitable for beginning quilters. Use my free Broken Dishes Quilt pattern to make this popular and traditional patchwork quilt. 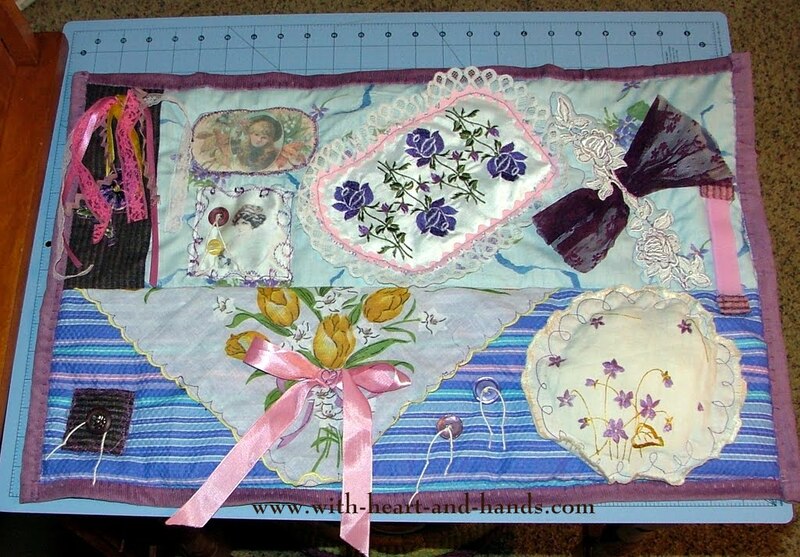 The quilt pattern also includes information to help you make multiple sizes of the Broken Dishes Quilt Block. 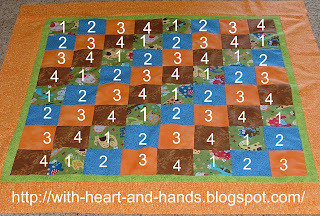 Make a baby quilt version of my popular Cozy Chains quilt pattern. 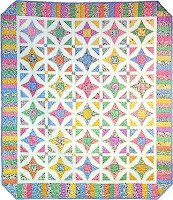 One of the hundreds of free quilt patterns you'll find at About.com Quilting. The Baby Monkey Wrench baby quilt pattern is an easy project, even if it's your first quilt. Complete instructions, accompanied by step-by-step illustrations. 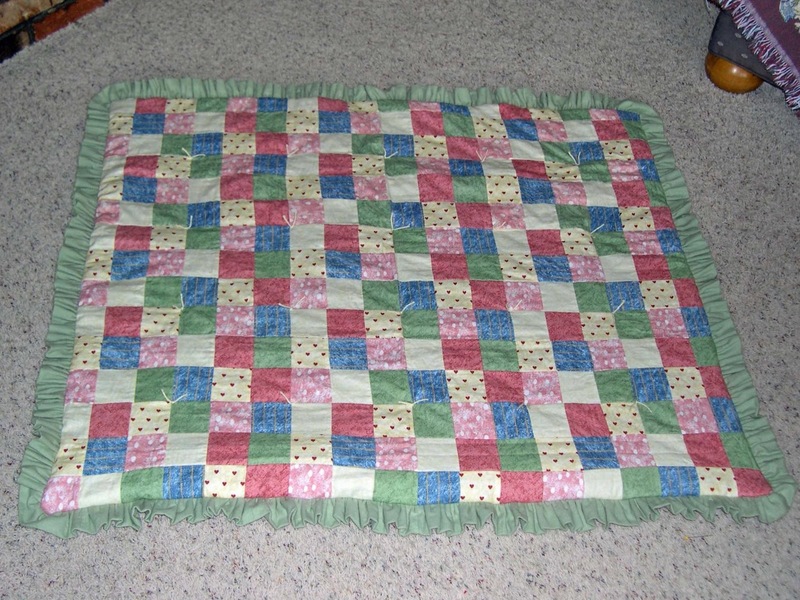 An easy baby quilt pattern with a vintage look. 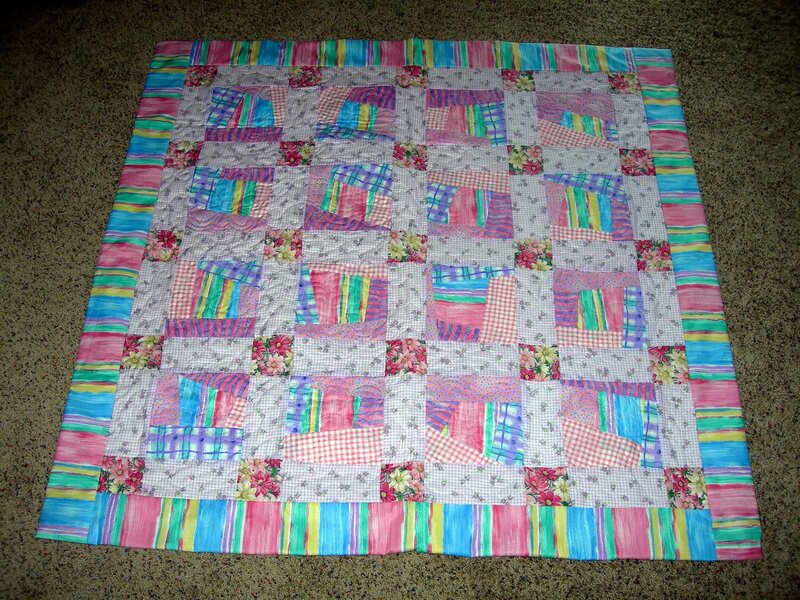 Make this easy baby quilt pattern. 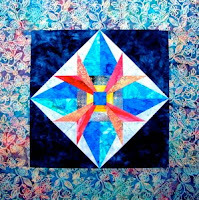 Called Stars Through the Windows, it's a quick patchwork quilt that beginning quilters can make with ease. 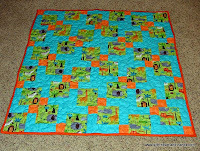 Make the Baby Propellers quilt, just one of the many baby quilt patterns you'll find on Quilting at About.com. 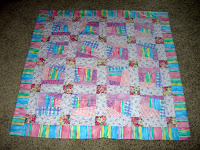 Pretty in Pastels is a baby quilt pattern made from 6-inch Clay's Choice quilt blocks. 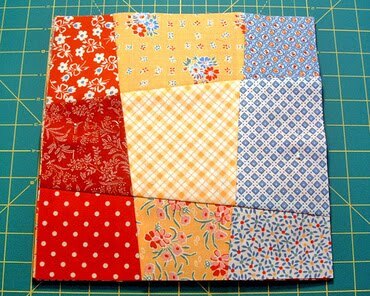 Make a Framed Nine Patch baby quilt with this free baby quilt pattern. This easy quilt pattern is beginner friendly -- so it's perfect for a first quilt. Make a pretty Springtime Baby Quilt from quilt blocks that finish at 6-1/4" square. 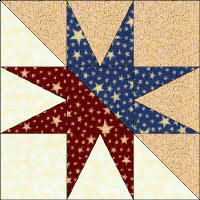 The Double Star quilt pattern is suitable for children or adults. 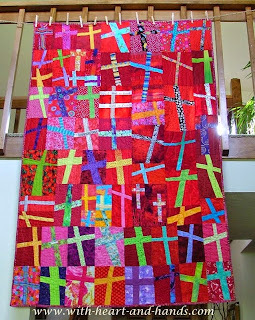 Change the fabrics to alter the theme of the quilt. 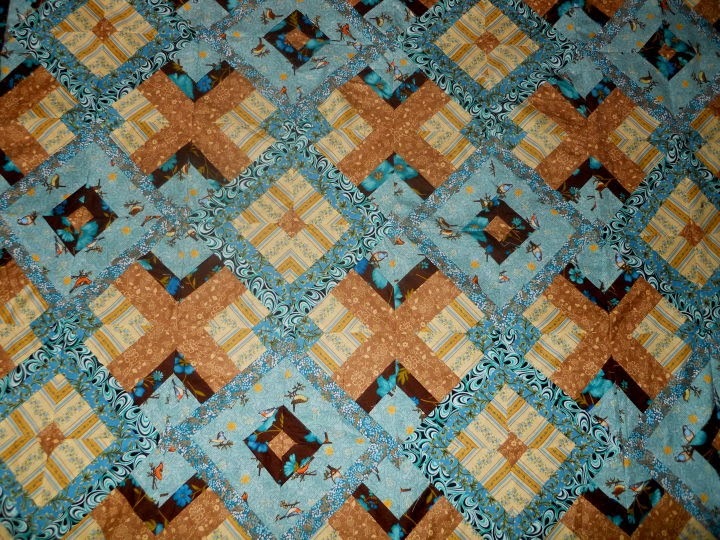 Here's a baby quilt pattern with Darting Birds blocks placed on point. 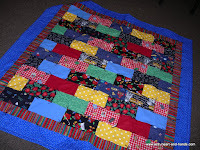 Got Blues is a monochromatic quilt that might be somewhat large for a baby quilt pattern, but it's a good size for a child's quilt. 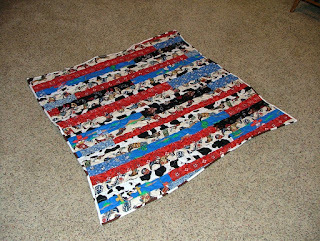 The Road Trip quilt is made from squares and rectangles, with color values arranged to give the quilt up and down motion. 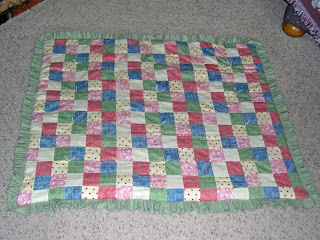 Its size makes it a good choice for a baby quilt pattern -- just change the theme of your fabric to make it suit a child. 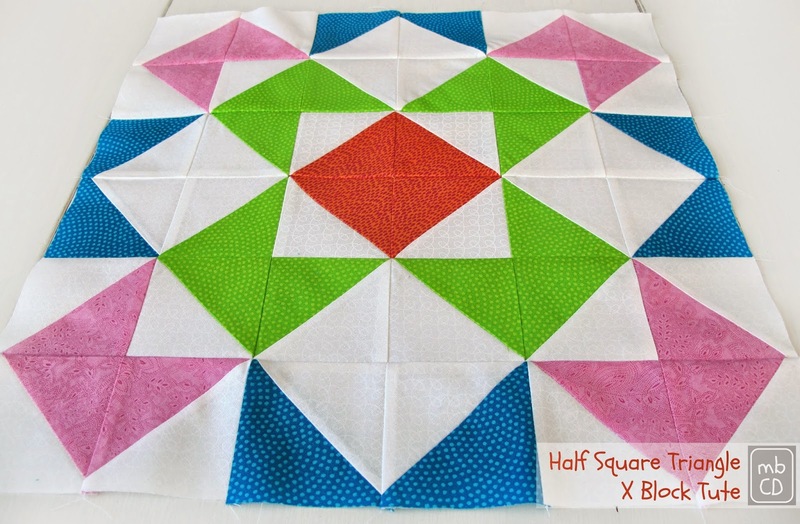 This pretty baby quilt pattern is assembled by combining Birds in the Air quilt blocks with four-patch connector blocks, all on point and surrounded by borders. 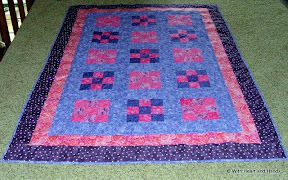 In the Pinks is an easy baby quilt pattern with lots of visual texture. Not into pinks? 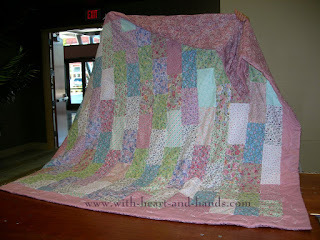 You can change the quilt dramatically by choosing different fabrics. 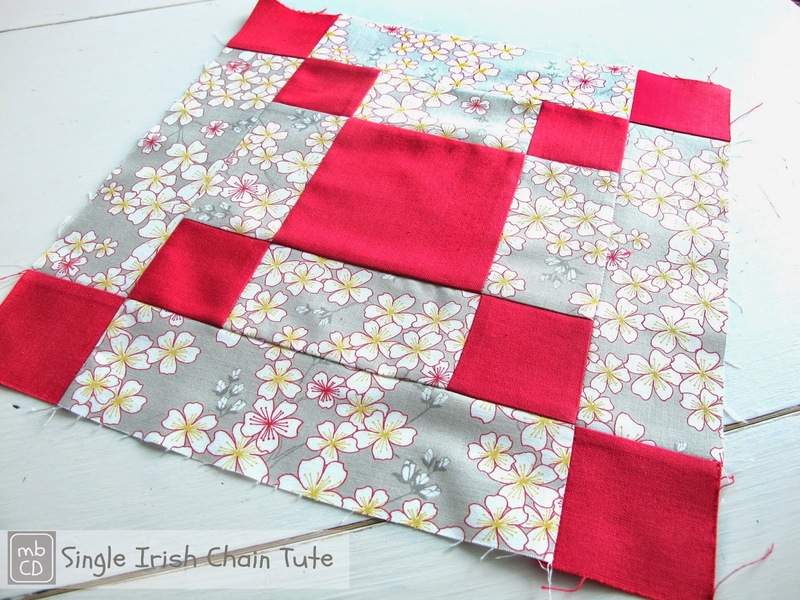 Combine Single Irish Chain blocks with pre-printed panels to make a pretty baby quilt with lots of color flow. 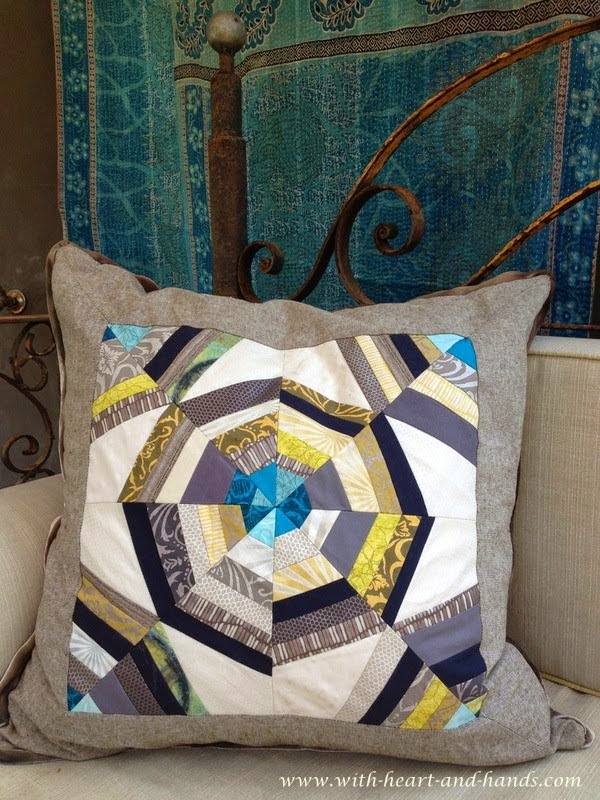 Try this easy framed Pinwheel Baby quilt pattern. 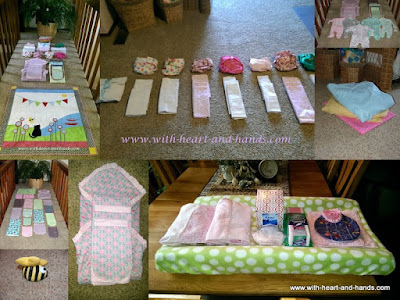 These easy baby quilt patterns are perfect projects for anyone who's making a first quilt. 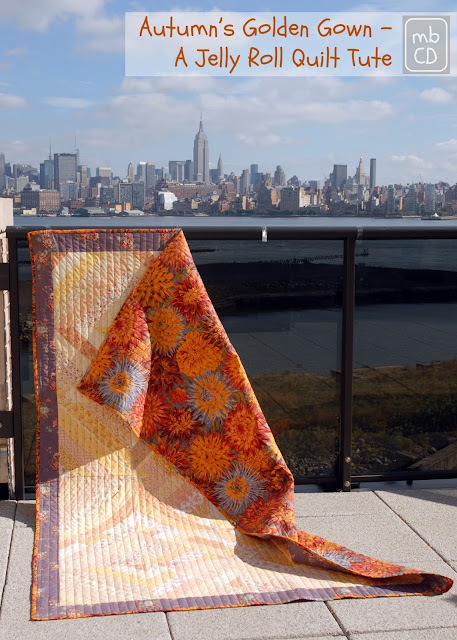 Make this Sunshine & Shadows variation (or Trip Around the World) and it's cousin, the Baby Furrows quilt. Go soft and frayed with rag quilt versions of both baby quilts described in the entry above. 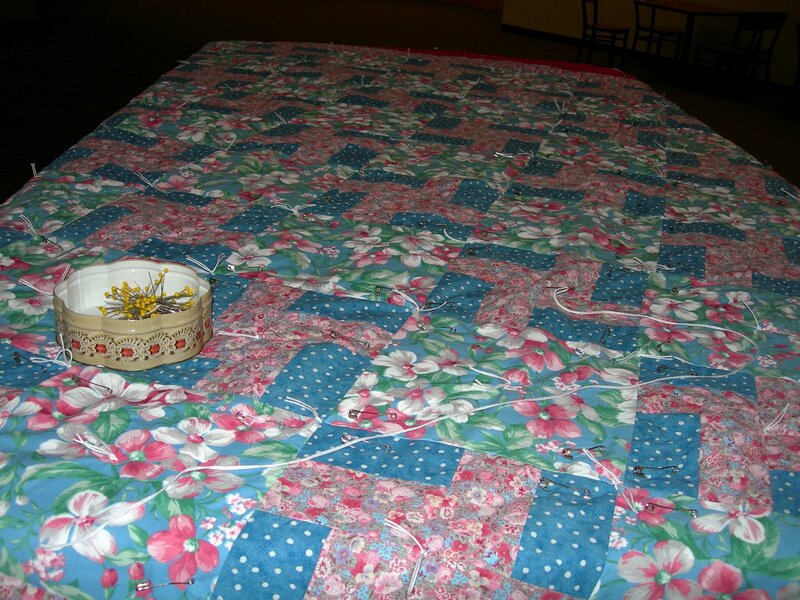 Making comfort quilts is an important activity for thousands and thousands of quilters. 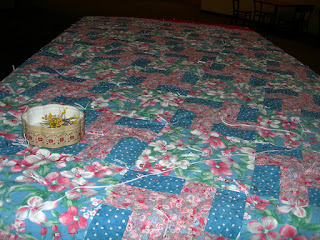 A group of our forum members spent one evening at a quilting retreat making baby quilts for an international charity. It's easy to start your own charity quilting group. 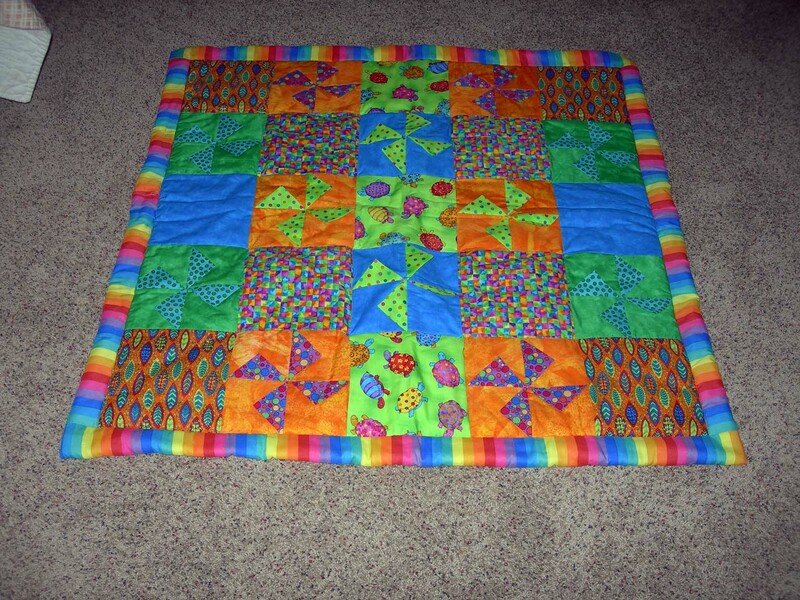 Super simple and colorful, the Jigsaw Baby Quilt is a perfect stash buster. 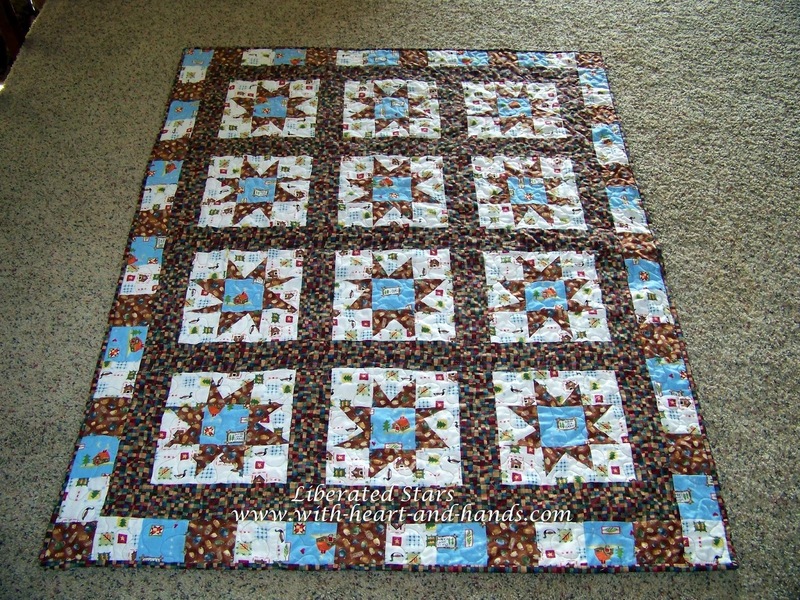 The Whirlpools baby quilt pattern is makes a wonderful scrap quilt. The finished piece measures approximately 37 X 43 inches. 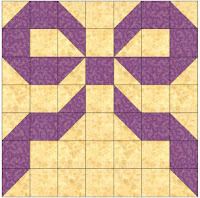 Download the two-page Baby Blocks Quilt Pattern as a PDF to print out the pattern. 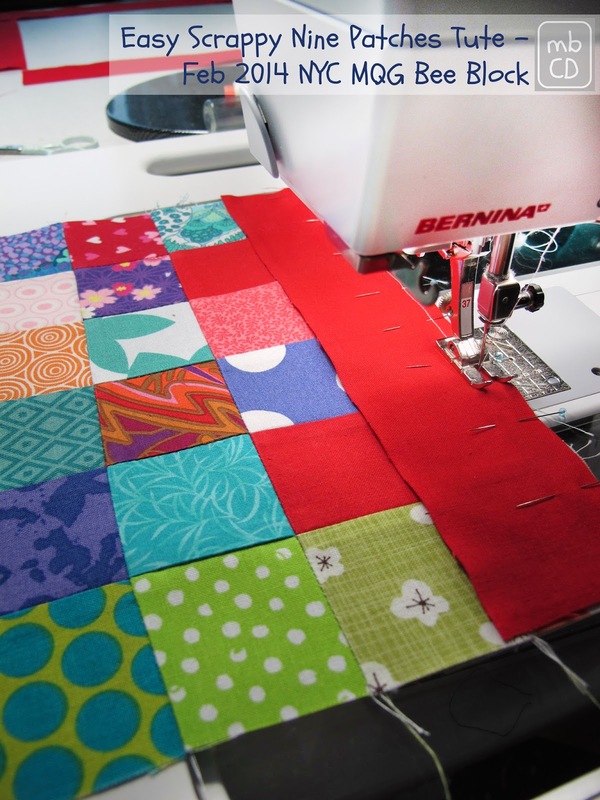 From squeaking to sliding, baby will be busy for hours with this fun activity quilt. The finished piece measures approximately 351/2 X 351/2 inches. 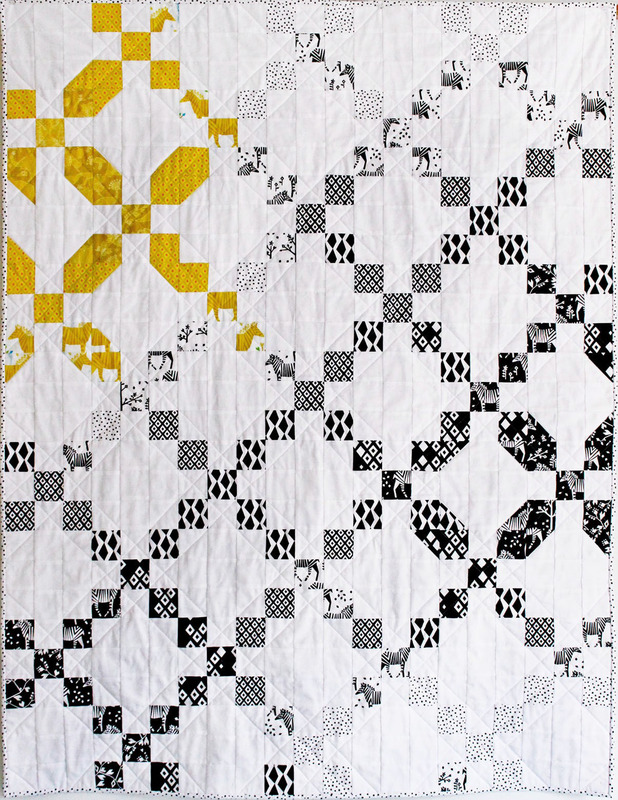 Download the five-page Baby's Busy Day Quilt Pattern as a PDF to print out the pattern. What a wonderful way to commemorate the birth of a special baby! The finished piece measures approximately 371/2 X 481/2 inches. 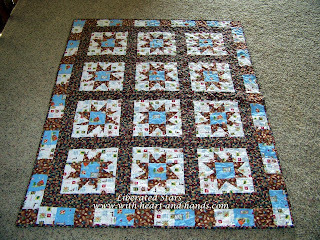 Download the three-page Birth Bear Baby Quilt Pattern as a PDF to print out the pattern. The finished piece measures approximately 44 X 53 inches. as a PDF to print out the pattern. 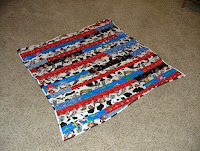 The finished piece measures approximately 331/2 X 41 inches. Crocheted Fetal Burial Pouch from Bev "
about the history of Sunbonnet Sue, Sam, the Bonnet Babies etc. Alaskan Sunbonnet Sue and Sam: Kuspuks and Parkas..
Click on title link above for complete lists of tutorials, free patterns, ribbons etc. 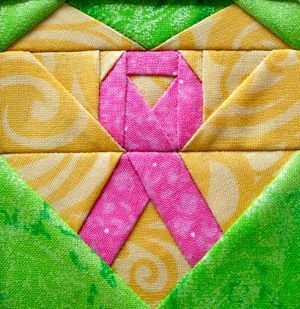 The crossed ribbon has become the symbol for support of many causes. 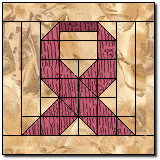 The pink ribbon symbol supports breast cancer awareness. and the second page contains the cutting list for one block. the small pin 2 1/4″ x 3″. ribbon colors that are used to promote awareness for the other cancers. but to create comfort quilts or pillows for them, as well. 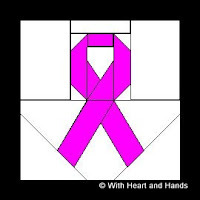 were specifically created for the Breast Cancer Awareness cause. download PDF pattern: Square in square/rail fence around pink ribbon. 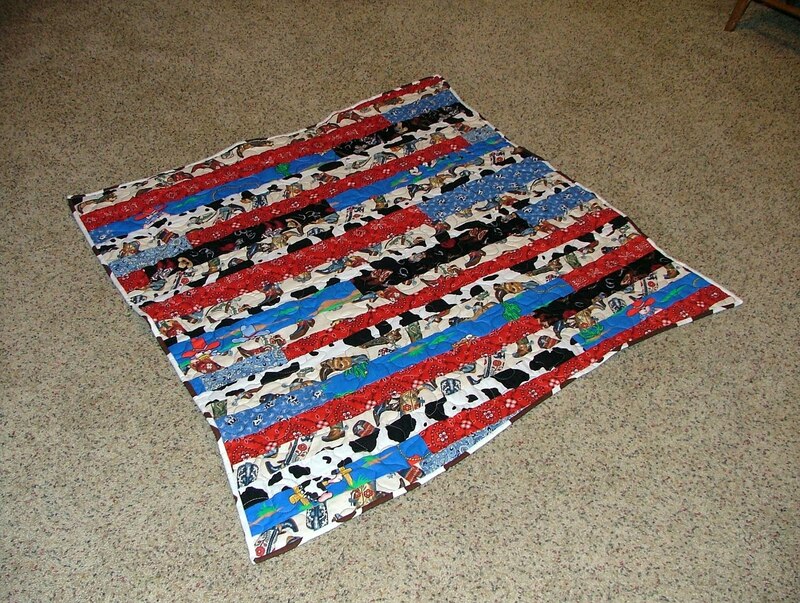 In honor of our soldiers (both at home and abroad) our ever-present patriotism and in the spirit of good work and service that so many do in our country..... here's my collection of over 100 links to free quilt or quilt block patterns. 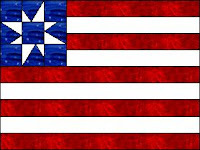 In includes some that are traditional, some that date back to the Civil War, and some amazing and wonderful stars, stripes, flags and even service banners! 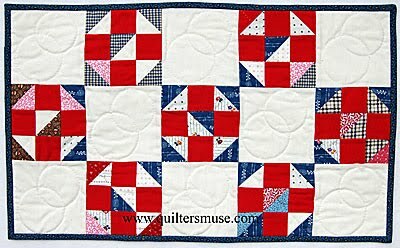 Many of my quilts are simple 'make as you go' designs where I use prepurchased center medallions or string quilting techniques to create my one of a kind patriotic quilts. But my blog posts are filled with photos of my process and will most certainly help you be inspired with ideas of your own. 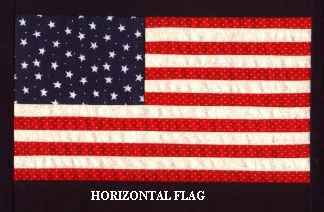 I also collect patriotic sewing and quilting links from around the world wide web and these are bookmarked and shared below with my readers! And to make a small project just to let a military family know that you are thinking of them! 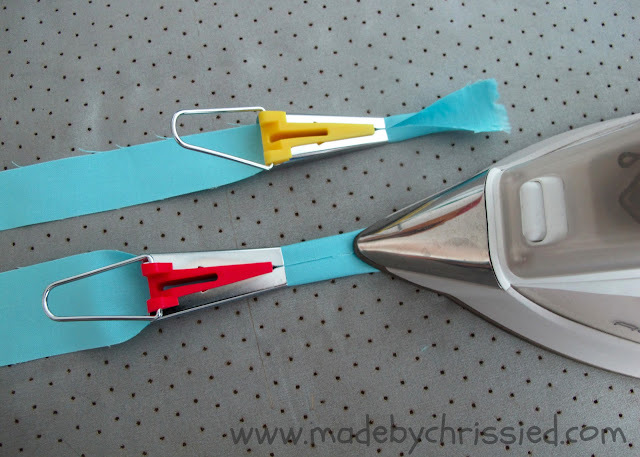 American@Heart by Sindy Rodenmayer: Find all instructions here. Free patterns, tutorials etc. for String Spiderwebs!! 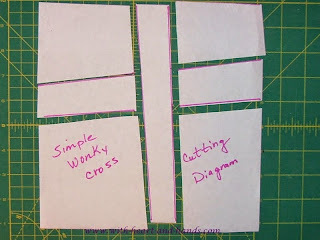 Wonky red square quilt - instructions. 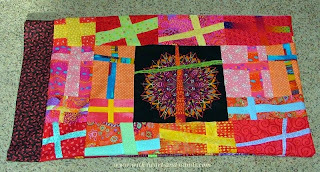 Shown above: My completed block for the Australian Bushfires--Quilters Can Help! we are putting a piece of ourselves...our hearts...into that donation. 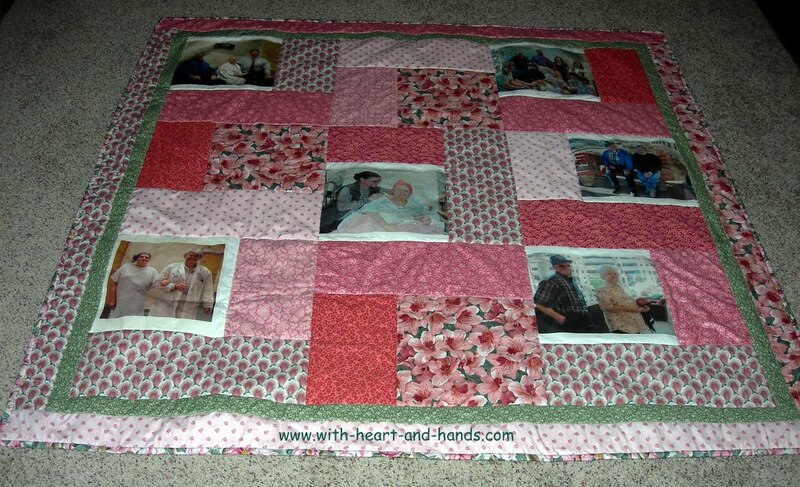 Such quilts often include heart blocks and are referred to as 'Healing Hearts Quilts'. o show our love, faith, and caring...it's wonderful to make and keep heart blocks on hand. equally wonderful ones that I have collected and saved that I am happy to share. 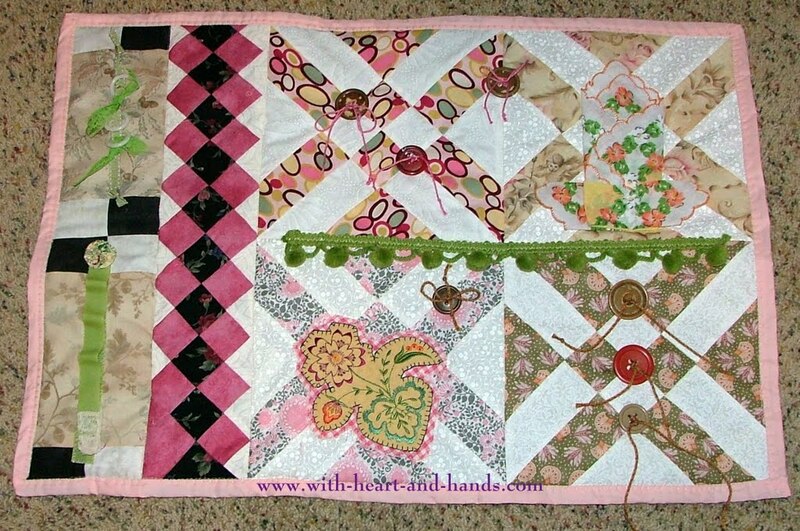 if you make anything with Heartstrings patchwork piecing! I wanted to show it off! 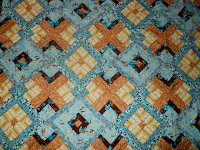 Basket Blocks by Gwen Marston from her Beaver island Quilt Retreat on Baskets. 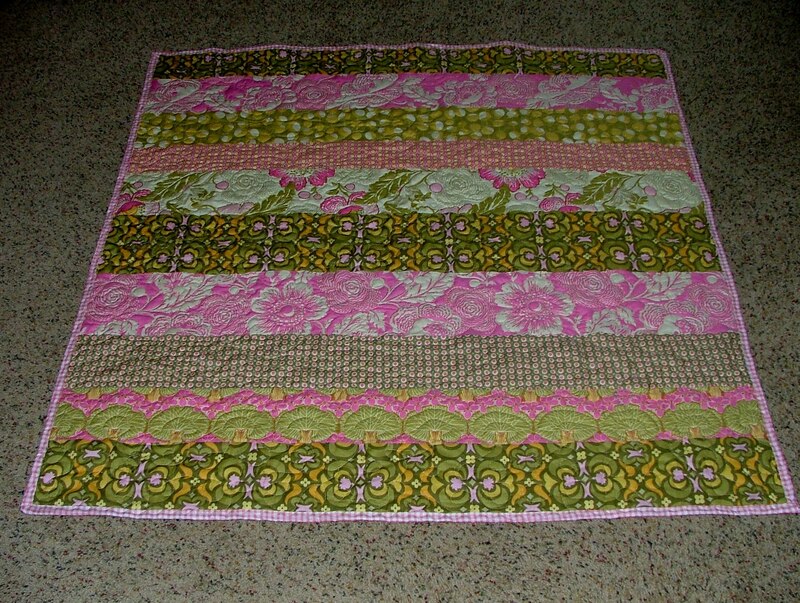 The pattern is for one of eleven baskets quilts she made for the retreat. 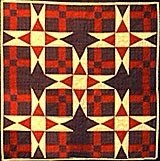 The quilt is made with 16 pieced baskets and 15 alternate blocks in redwork. Baskets w. Red work 60" x70"
Bitsy Baskets 22"x 22" fast carry along mini basket quilt from Debbie Reed. Bunny Quilt from Quilting Passion: Blocks create a cute bunny shape! 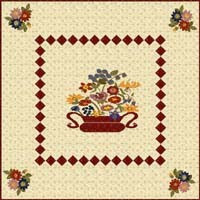 Floral Basket #2 paper pieced tulip block, 6" x 6"
free St. Paddy's Day quilt or quilt block patterns with you! 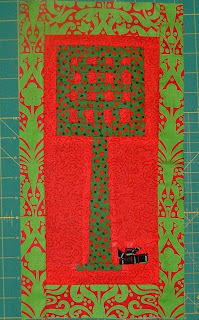 St.Patrick's Mystery Quilt 7 -24" x 24"wall hanging from the Quilting Passion website. Yellow Clover a block design first published by Nancy Cabot for the Chicago Tribune. Yellow Clover is one of hundreds of Cabot patterns sold by mail order during the 1930s. Email me for directions if the website is still closed. 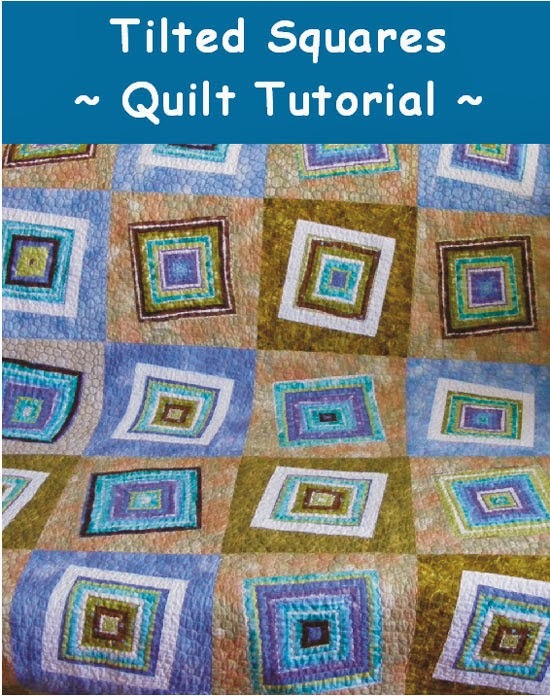 a free eBook from the experts at Quilting Daily! 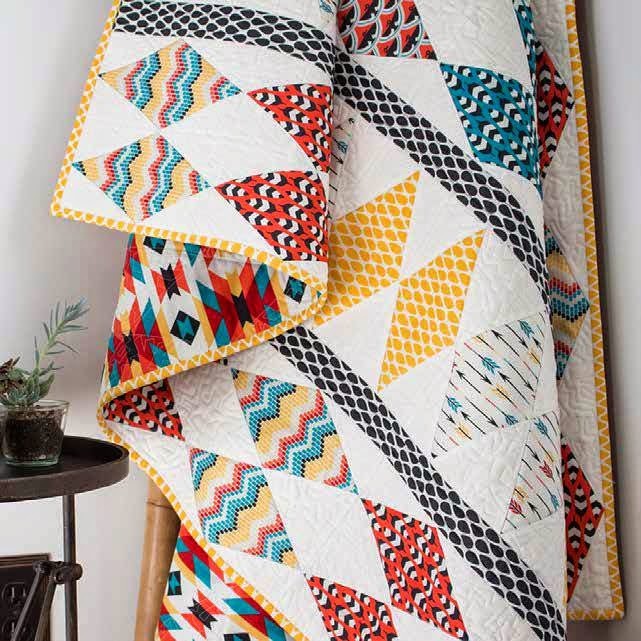 Brush off those techniques you haven't used in a while, or learn a few new ones with the help of these quilt experts. Learn how to make patchwork quilt designs using improvisational stitching, those illusive jelly rolls, and strip quilting. 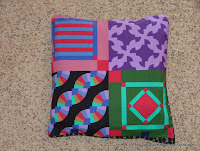 Simple quilt patterns that can be made quickly with more time to create many more. Often tied with prayers and blessings in every knot, rather than machine quilted. String Pieced Prayer Pocket Pillow...a lovely gift anytime! Four Star Mystery #1A simple and fun 40" x 40" project in 8 Steps. Free pattern. 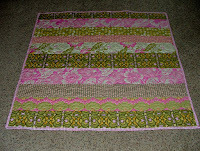 Nine Patch - Over/Under Mystery #2Written as a full size queen quilt or as a smaller wall hanging - a mystery in 8 Parts. 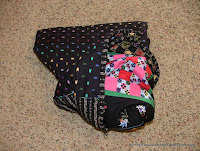 Free quilt pattern, fun and very easy to do. 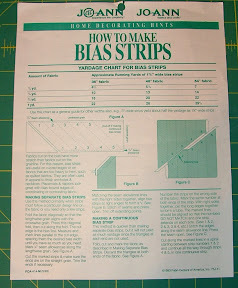 Bias Binding Tutorial by Dena! Wonderful with photos of steps! 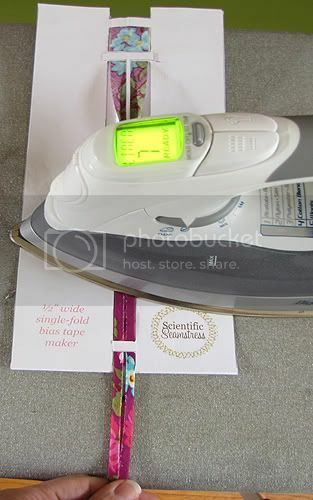 Scientific Seamstress she has developed a printable bias tape maker.downloadable PDF. Thank you, Carla!!!! 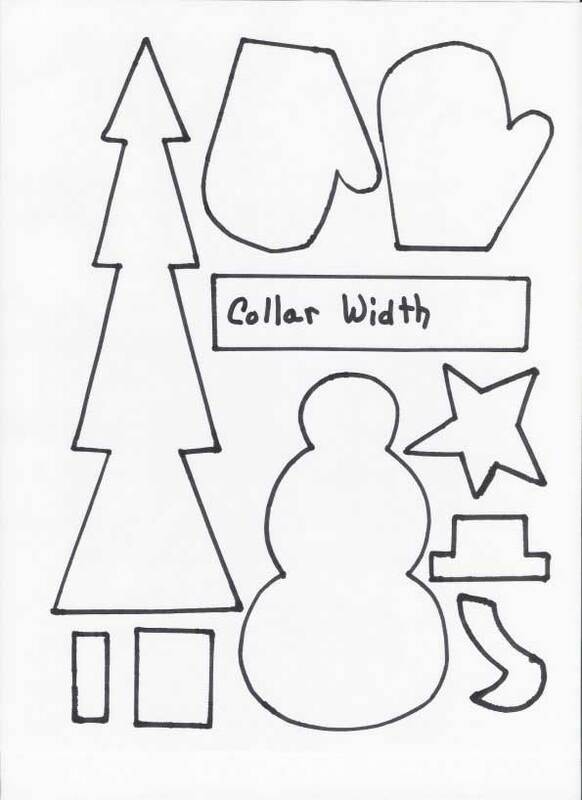 To get your your downloadable PDF of this template. 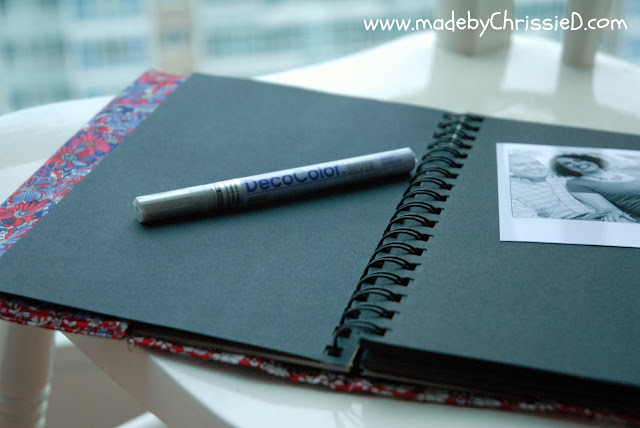 How To Paper Piece Tutorial by Dena! 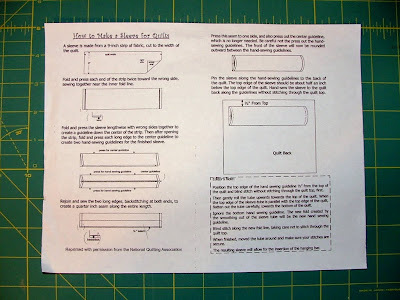 Quilt Binding by machine Tutorial. A down loadable PDF and a Video! CLICK HERE to the tutorial, at the end you can print the pdf! 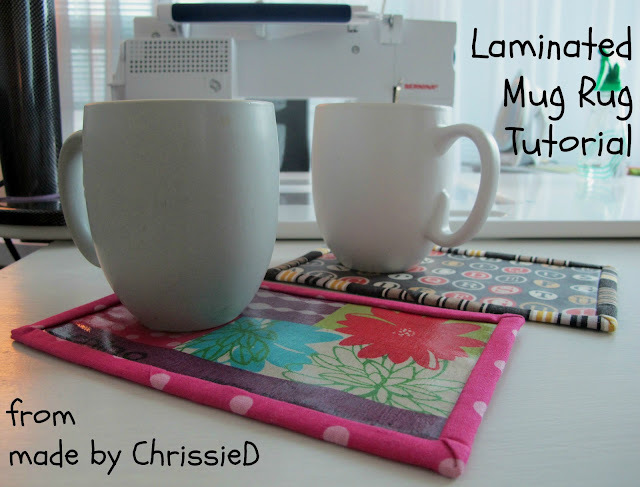 Tutorials including lots of Mug Rugs Ideas, Patterns and Tutorials! 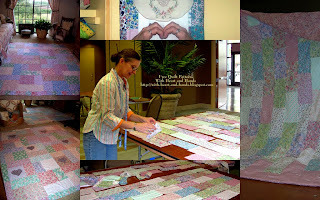 Quilt shown at the top:"Thinking Pink" in honor of National Breast Cancer Awareness Month. 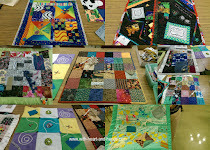 Five of us worked in a group and made 6 quilts in just two days. This one was given as a charitable donation, here in Salem, Oregon. 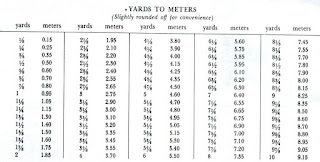 - A Guide But Not A Tute! 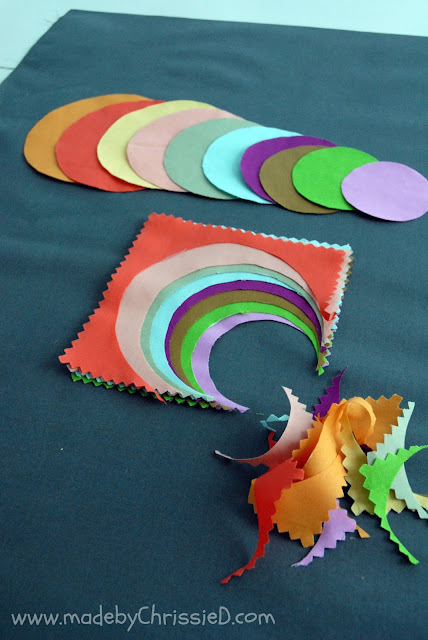 * Paper Panache's How to Paper Piece is very clear and nicely illustrated. 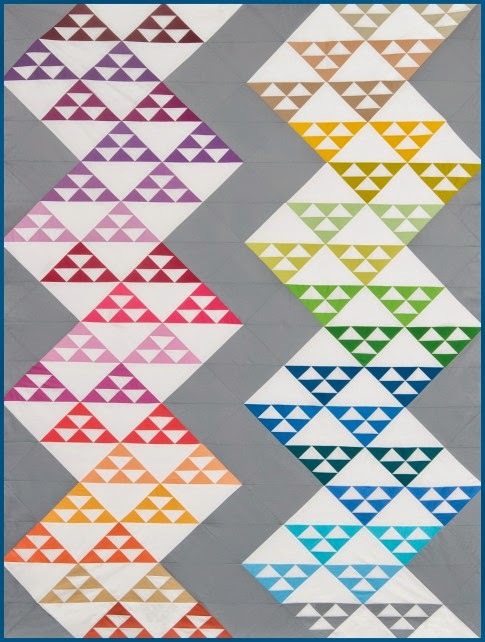 * Paper Panache offers great patterns for paper piecing, regular mystery blocks, and lots of other FP information. 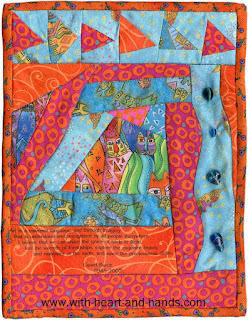 * Visit Love Quilt Patterns for a nice array of designs for paper-piecing and fusible applique. * Patti Anderson's patchpieces has patterns for paper piecing, a photo gallery, Electric Quilt lessons, and more. * Quilt Seeds: Wonderful paper-piecing designs with a country flavor. 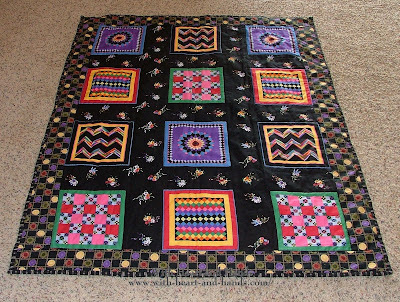 Please note: This listing of site links is provided in good faith as a service to interested quilters, but should not be construed as an endorsement of these sites, their products, or their information. 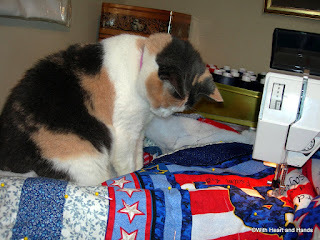 * Most of Piece By Number's patterns are drafted in Electric Quilt Company's Electric Quilt software -- I started with EQ3 and am now using EQ6. Superb software and support! * Browse around The Quilter Magazine On-Line -- there's lots to see! 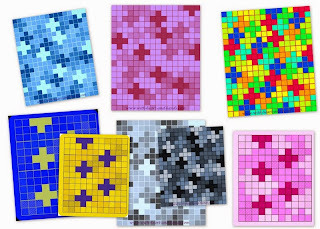 * At Soft Expressions, computer quilting is made easy: reviews, tutorials, newsletters, FAQs and 10-20% off popular quilt software. 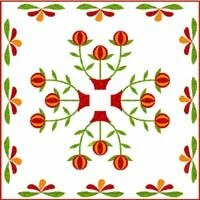 * Visit Quilt Design for a wealth of quilt patterns and EQ information, even some in Norwegian! 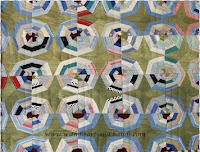 * QuiltWoman is a wonderful resource for everyone interested in quilts and quilting, professionals as well as hobbyists. 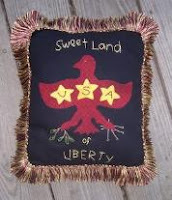 * The Lost Quilt Come Home Page is a place to display and view lost or stolen quilts and provides information on how to protect our quilts. * For a fresh, contemporary look in geometric block designs, see what Future Heirlooms has to offer. * QuiltBug.com offers the latest quilt fabric in yardage, fat quarters and kits as well as patterns, notions and batting. Check out extensive articles and information pages, too! 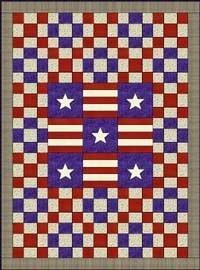 Free Quilting Patterns page. Lots of folks are not finding my links to the right side bar. Click on these instead, thanks! Quilt, Craft, and Gift for All of the Winter Holidays! 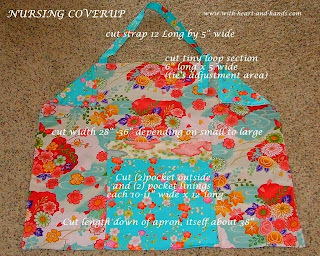 Free Apron Patterns including Nursing Cover-ups, Men's Barbeque Aprons, etc. 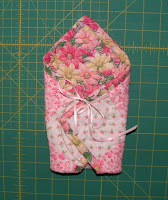 *Make a Re-useable Shopping Bag: Pocket Pouched! Sorry - didn't mean to shout in your ear. That's some awesome bit of research there, Ma'am! You just turned into the quilters' own search engine. You never fail to amaze, impress, educate, amuse, and stimulate. Good on you! Wow! What a lovely blogaversary gift! Thank you for sharing all your hard work. Oh, I love the internet. So many resources out there. How did I ever get along without it! Thank you again. What a lovely present! Thak you so much! I'm going to have to devote a weekend to looking through all of this! thank you so much-I just started work on some redwork pieces and was looking for others. Yo're a wonder! What fun!!! Yahoo! I mean YAHOO! Fantastic, thank you so much! This is the best list I've seen on the internet,yet! Just discovered your blog and WOW, WOW,WOW!! Wonder how many days it will take me to go to all these sites. Thank you very much. 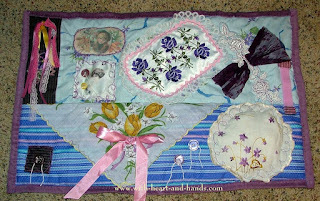 What a fantastic resource for quilters you have compiled here!! Thanks for the link list.....you put lots of work in this wonderful list. Thanks again and Happy Blogging! Fantastic list. 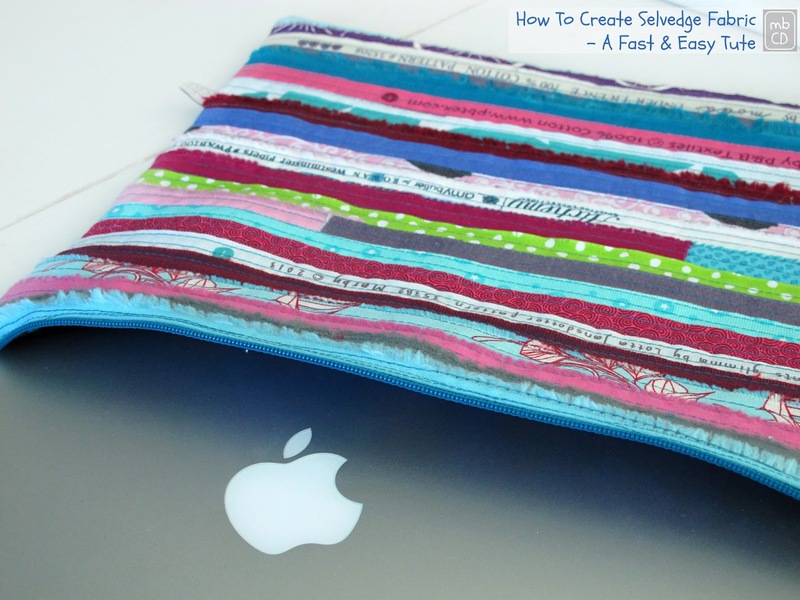 Happy Blogiversary and thank you "sew" much!! I am going to start clicking on links right nowwwwwwwwwwwwww! That was me being speechless! What an amazing list! I just found your list it's wonderful! Thanks for posting it. 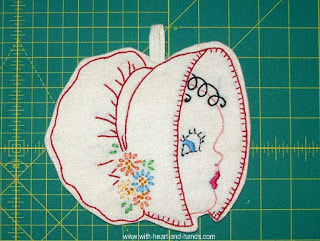 Saw your blog listed on Victoriana patterns with your cool heart pattern. But when I saw this list, I thought holy cow! I need to favorite this blog for sure! Thanks a lot. This will give me many hours of reading fun! Great lists. 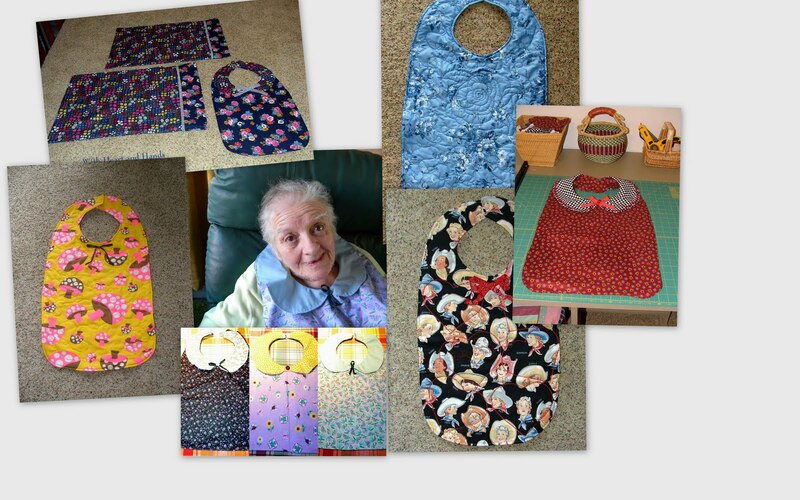 Thank you so much for sharing all these free patterns. I am speechless.... just a word of thanks for sharing. You're a hard working lady! Thanks for all the great pattern sites. I have added your link in my blog. 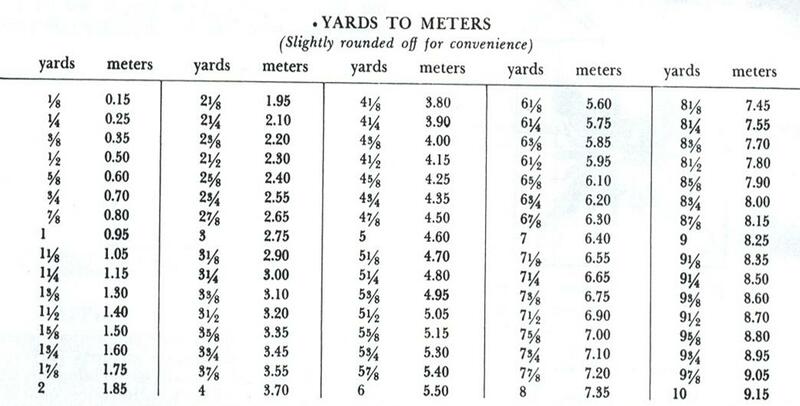 here's one more for your list. This is one of my most favorite spots on the internet. I sort of glanced through all your list and didn't see it, so if you already have this one, please excuse me for not finding it right away. Marcia Hohn is a very amazing lady. have a great day and thanks for this blog. 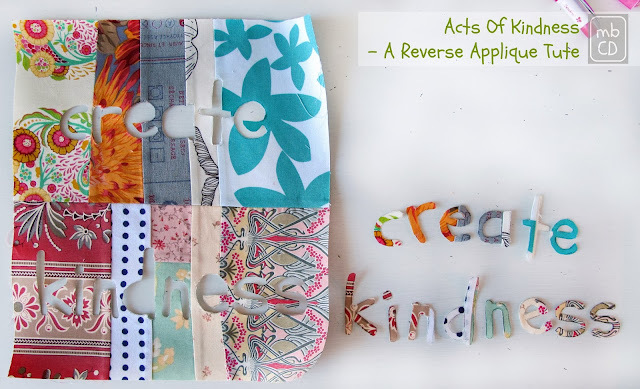 Fantastic groups of free patterns. 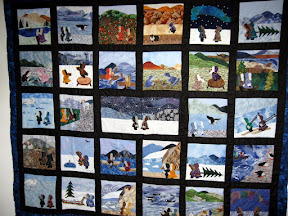 I love how you've grouped them and included so many cute photos of your own quilts. 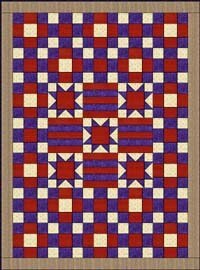 One of the best resources on the web that I've seen for beginning as well as intermediate and advanced quilters! 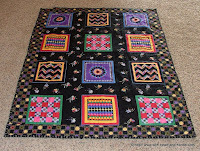 Thanks for all the links....looking for nutcracker quilts, blocks or toy soldier ones??? I am speechless, what a job. Thank you very much and greeting from Holland. Unbelievable! Best set of free quilt and quilting patterns that I have seen yet! Thank you so much! You are amazing. Bless your heart. I appreciate you and your blog so much. Thank you. I found a pattern I have been looking for, forever. And I found it here. I am delighted and grateful! I am having problems with getting the stained glass butterfly from quilterscornerclub.com When I click on there links for the pattern, etc. I only get advertisements. I did email the website over two weeks ago, and I have never gotten a response. If you know how to get this pattern a different way, please let me know. First I want to thank you for sharing all your hard work that you have done! Second WOW did you find a TON of free websites! Third You have just saved me a bunch of time. I have been searching the web for free patterns and now I don't have to. All I have to do is go to your blog! 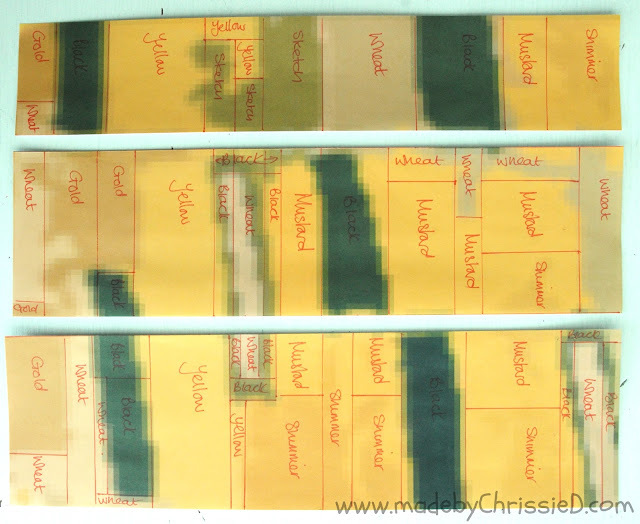 Thanks again for sharing all this info and I look forward to exploring your blog! 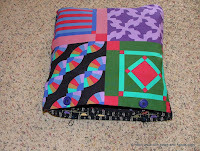 Great list of sites with free patterns but you don't have www.stitch-n-frame.net. They have over 150 free patterns to download. 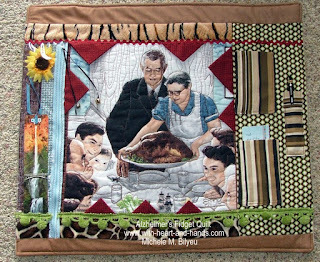 Congratulations on being one of the top charitable blogging quilters and having one of the top 50 quilting blogs! Awesome! Thank you for all the resources, Best list I have seen as yet. 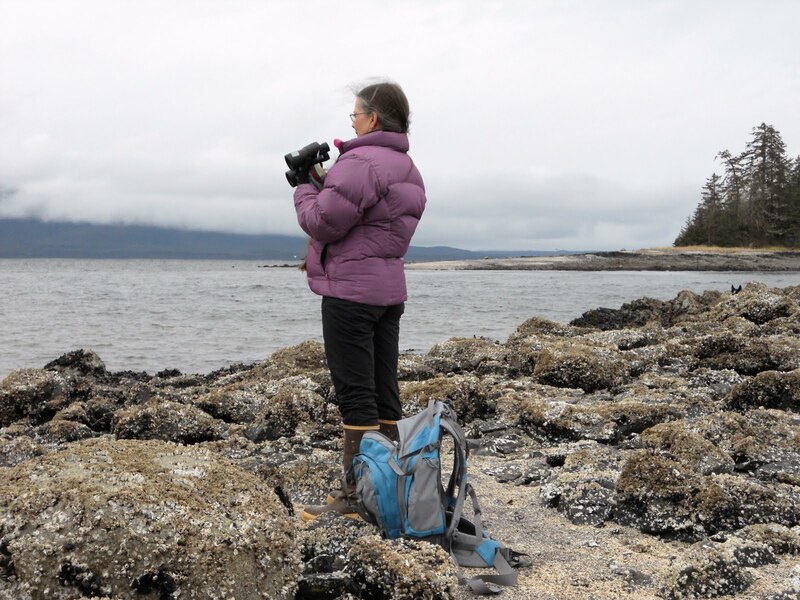 Sandra From British Columbia Canada. 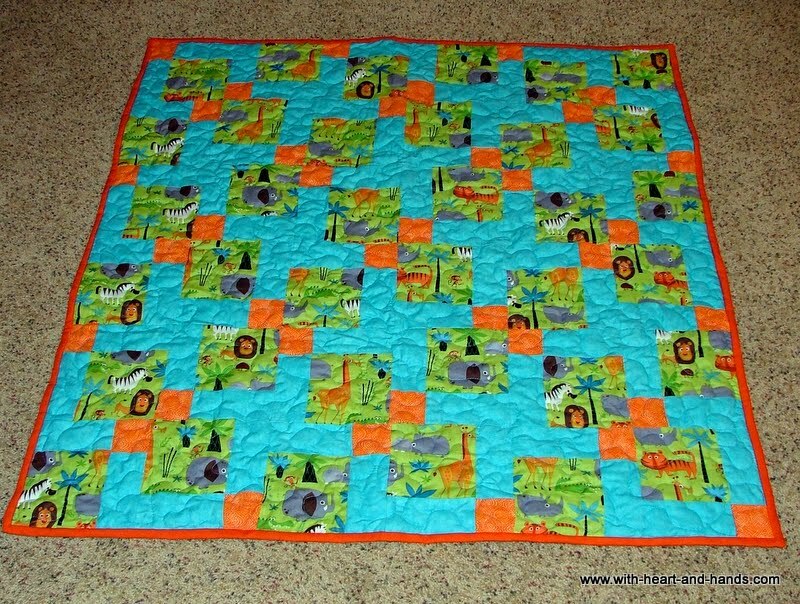 Your free quilt patterns are amazing! They are perfect for even children, teens, and beginners to learn to sew and quilt with. 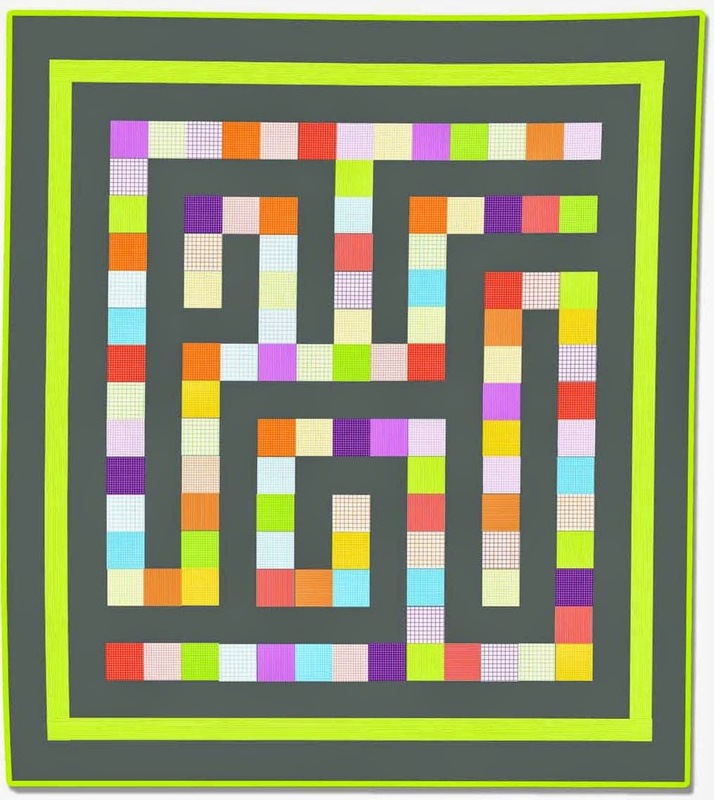 This is the best combined list of free quilting patterns I have ever seen! Thank you so much!!! I just found this site and it is amazing! Wow! I'm speechless! Loving and giving! Generous! Saying thank you seems like not enough! Its just so wonderful! Thank you for ALL of your dedication and hard work! Found you through Pinterest and HOLY COW is that a comprehensive, time consuming list you have there! Thank you so, so, so much!!!! 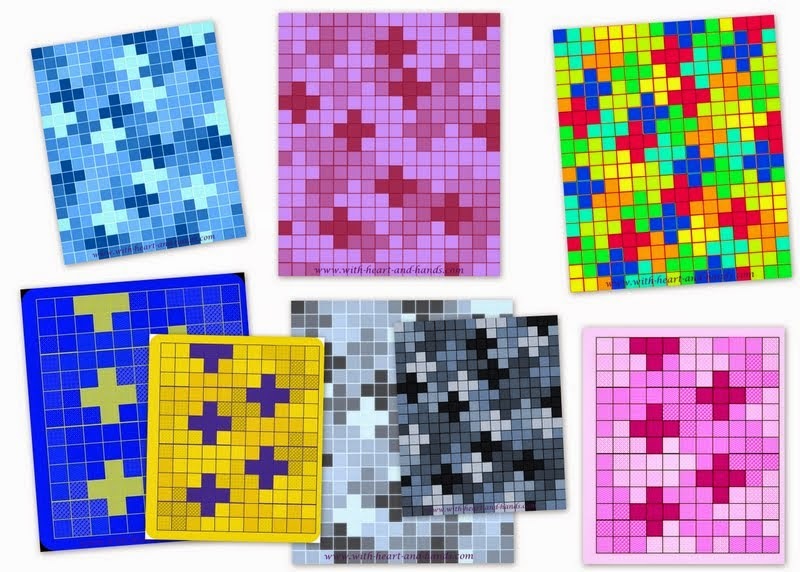 All free paper piecing patterns for personal use only. It's from this group of ppp designers, that made the Harry Potter Bookcase quilt that I love so much. It was called the Project of Doom. And then this group went on to design two Middle Earth themed quilts and a Dr Who quilt. 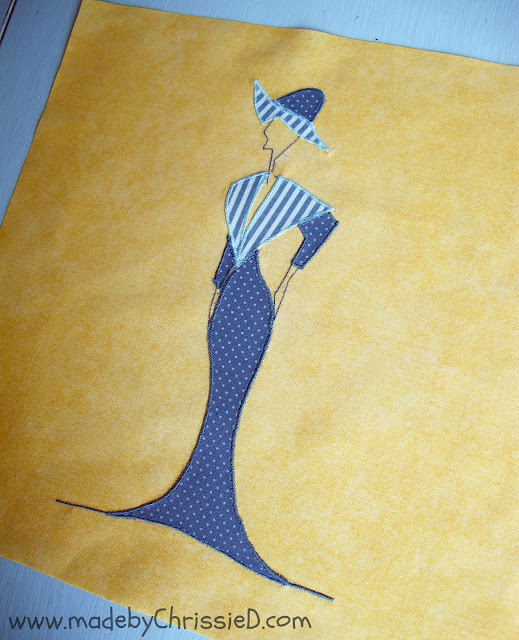 Too much silliness and fun with fabrics. What an amazing, never ending list! Let's start with some fun and simple 4 Packs as I share links to some tutorials and some different variations from what you might swimming pool contractor of as a D4P..or Disapearing 4 Patch, as well! 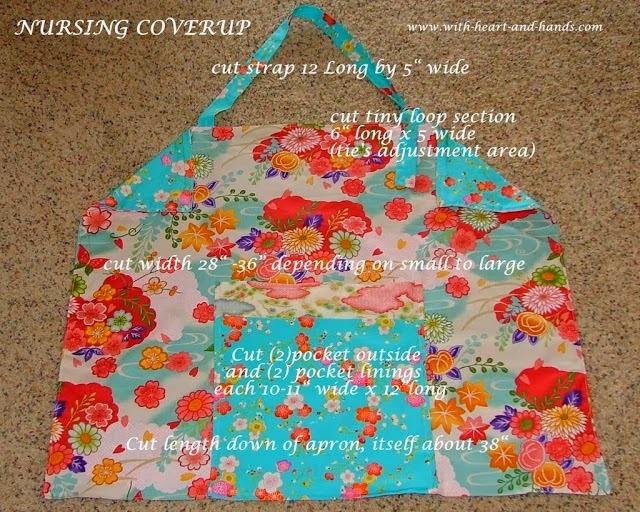 I can't find the pdf pattern for the hanger with the secret pocket!